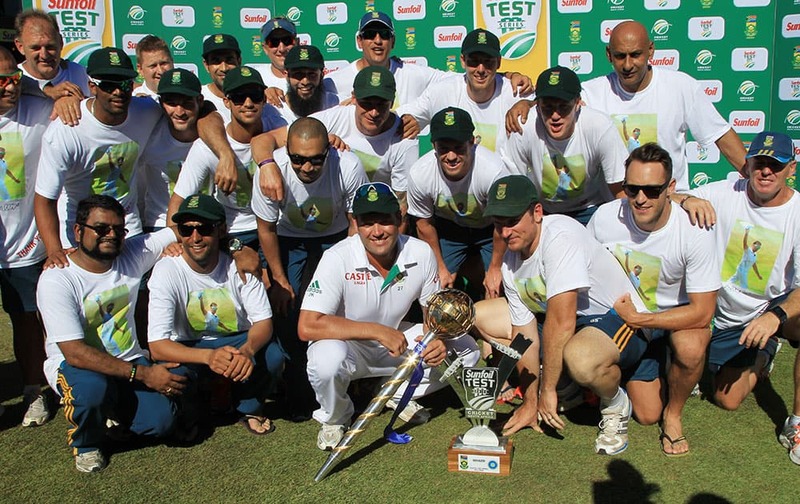 South Africa players and team members pose for photographers after winning the cricket test series against India at Kingsmead stadium, Durban, South Africa. 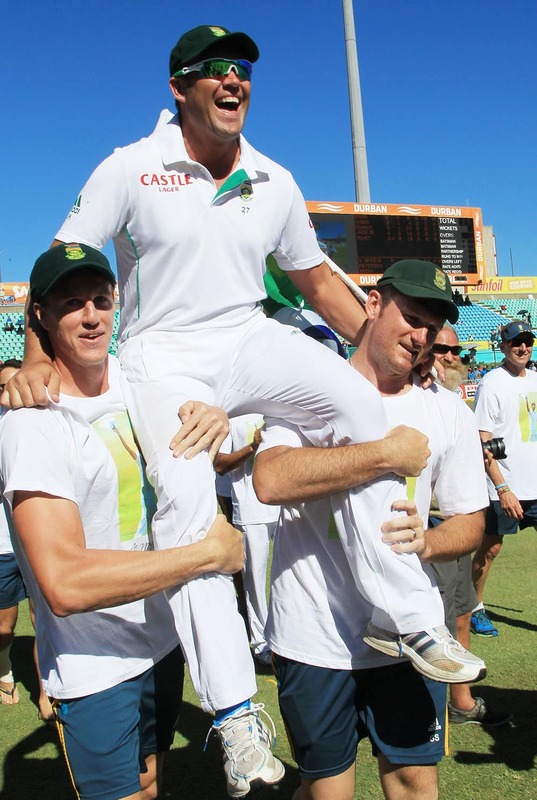 South Africa's bowler Jacques Kallis is carried by teammates after he retired from Test cricket at end of the fifth and final day of their cricket test match against India at Kingsmead stadium, Durban, South Africa. 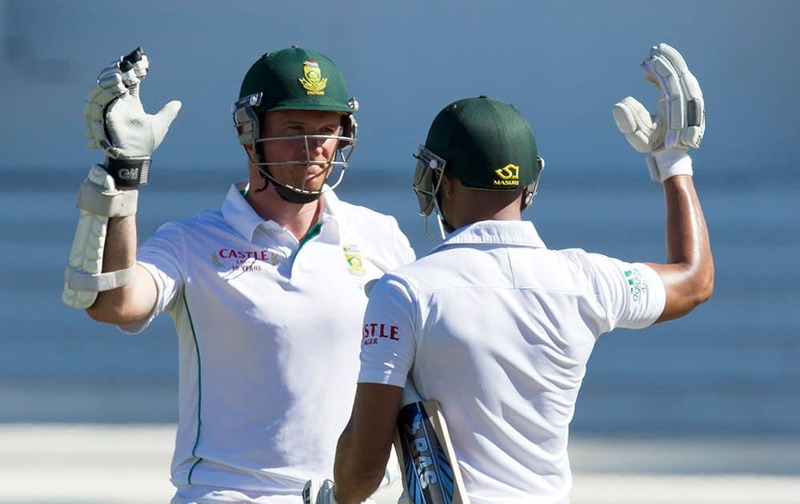 South Africa's captain Graeme Smith, left, celebrates with teammate Alviro Petersen after scoring the winning runs of their fifth and final day of their cricket test match against India at Kingsmead stadium, Durban, South Africa. 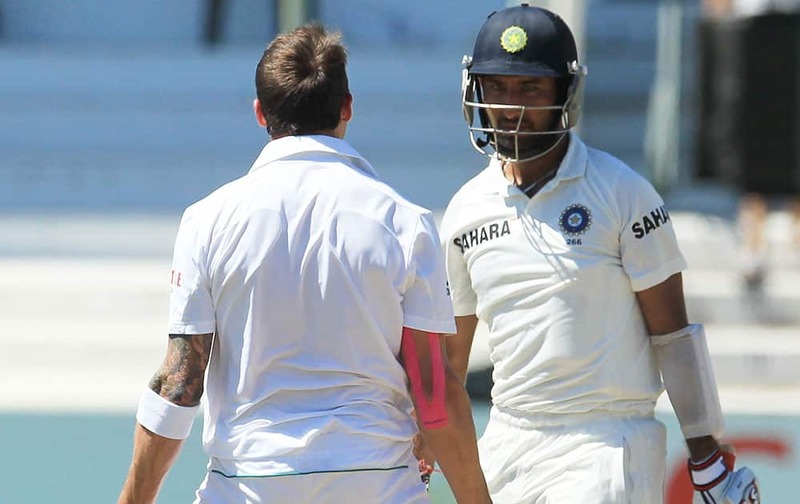 India's batsman Cheteshwar Pujara, right, watches as South Africa's bowler Dale Steyn, left, celebrates after bowling him for 32 runs on the firth and final day of their cricket test match at Kingsmead stadium, Durban, South Africa. 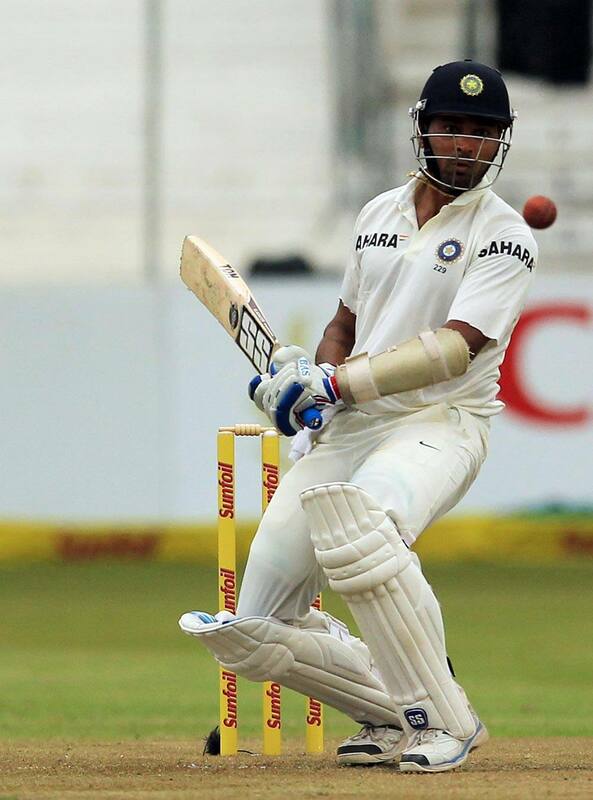 India's batsman Cheteshwar Pujara is bowled by South Africa's bowler Dale Steyn, for 32 runs on the firth and final day of their cricket test match at Kingsmead stadium in Durban, South Africa. 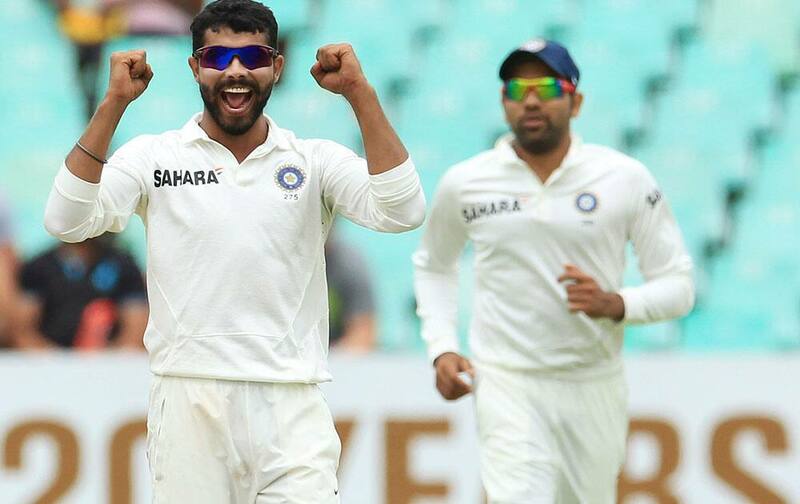 India's bowler Ravindra Jadeja, left, celebrates as teammate Rohit Sharma, right, watches after dismissing South Africa's batsman Jacques Kallis, for 115 runs on the forth day of their cricket test match against India at Kingsmead stadium in Durban. 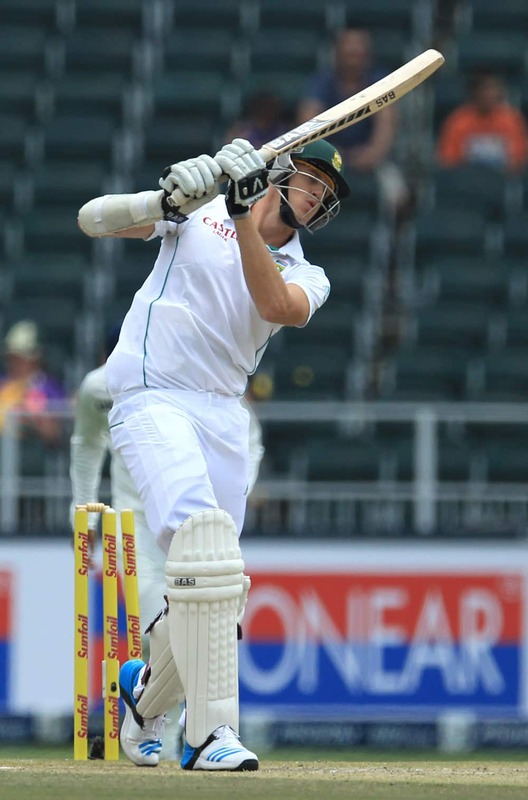 South Africa's batsman Robin Peterson plays a shot on the forth day of their cricket test match against India at Kingsmead stadium, Durban, South Africa. 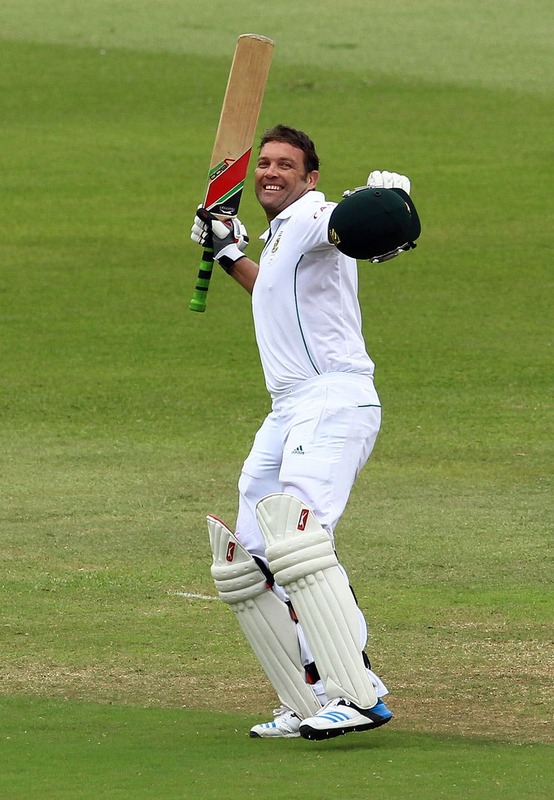 SOUTH AFRICA`S BATSMAN JACQUES KALLIS CELEBRATES HIS CENTURY ON THE FORTH DAY OF THEIR CRICKET TEST MATCH AGAINST INDIA AT KINGSMEAD STADIUM IN DURBAN, SOUTH AFRICA. 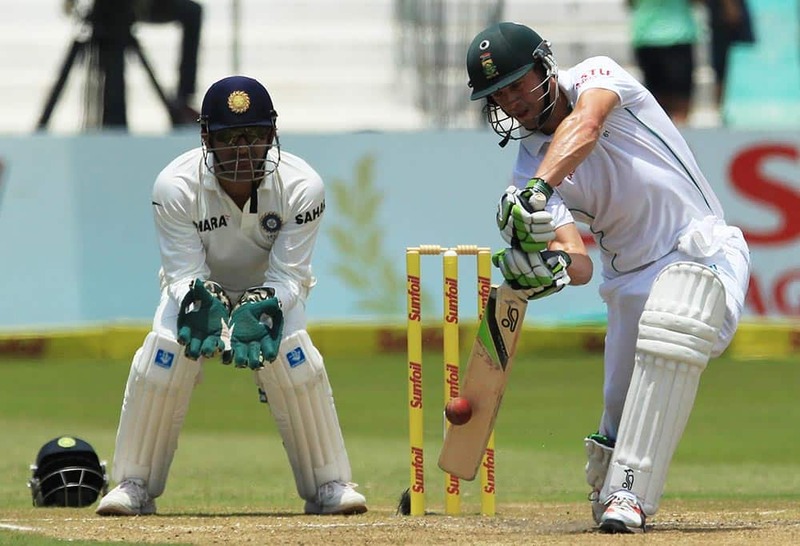 South Africa's batsman Abraham Benjamin de Villiers, right, plays a shot as India's captain Mahendra Singh Dhoni, left, watches, on the third day of their cricket test match at Kingsmead stadium, Durban, South Africa. 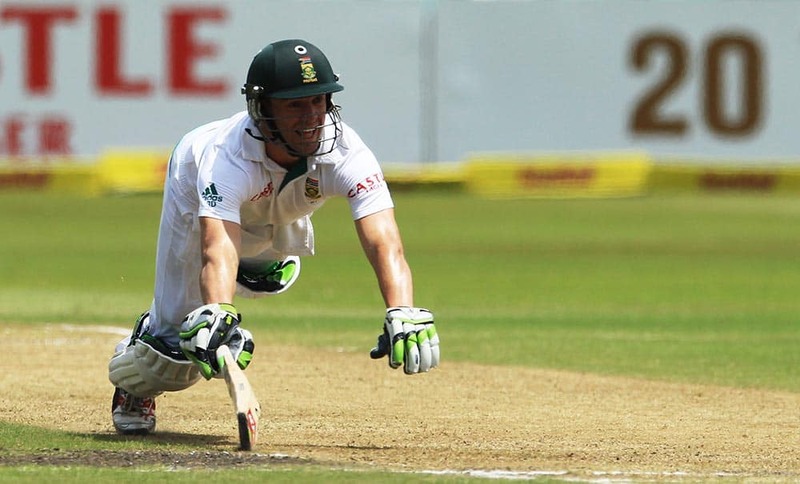 South Africa's batsman Abraham Benjamin de Villiers dives home safely after a run out attempt on the third day of their cricket test match against India at Kingsmead stadium, Durban, South Africa. 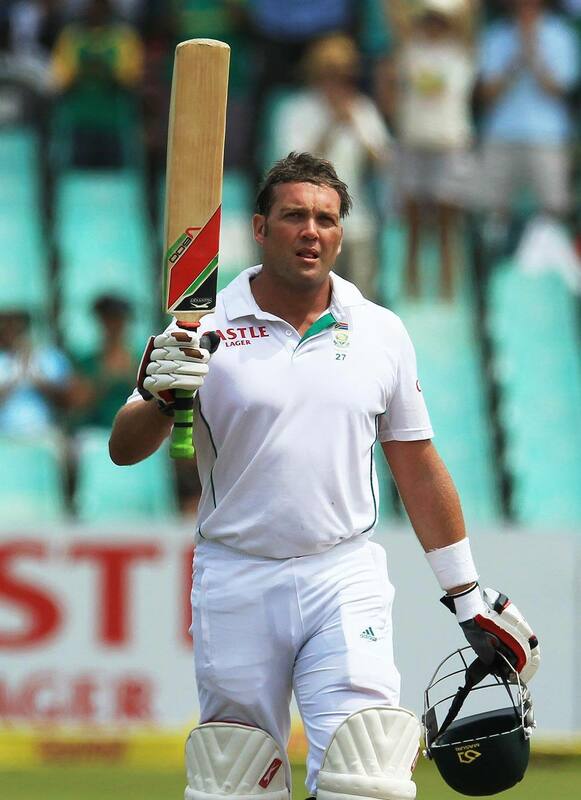 South Africa's batsman Jacques Kallis raises his bat after reaching a half century on the third day of their cricket test match against India at Kingsmead stadium, Durban. 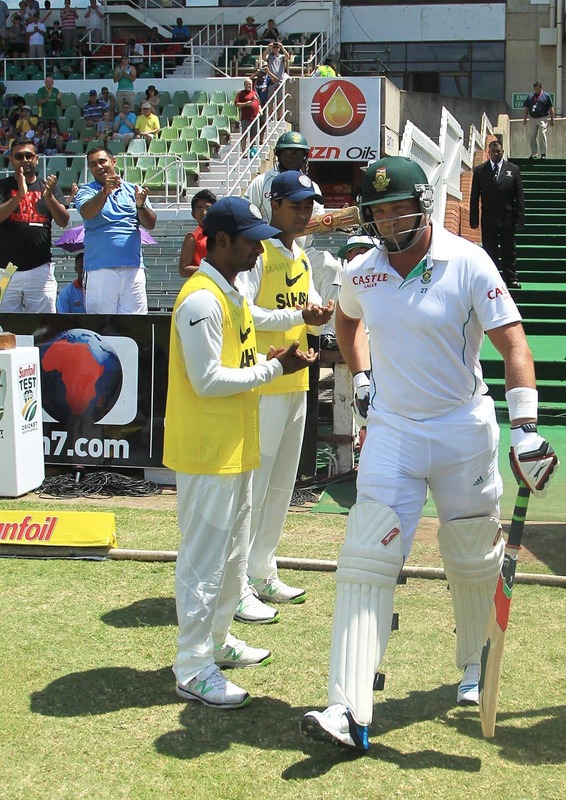 South Africa's batsman Jacques Kallis, right, walks to the field as India's players form a guard of honor on second day of their cricket test match at Kingsmead stadium, Durban, South Africa. 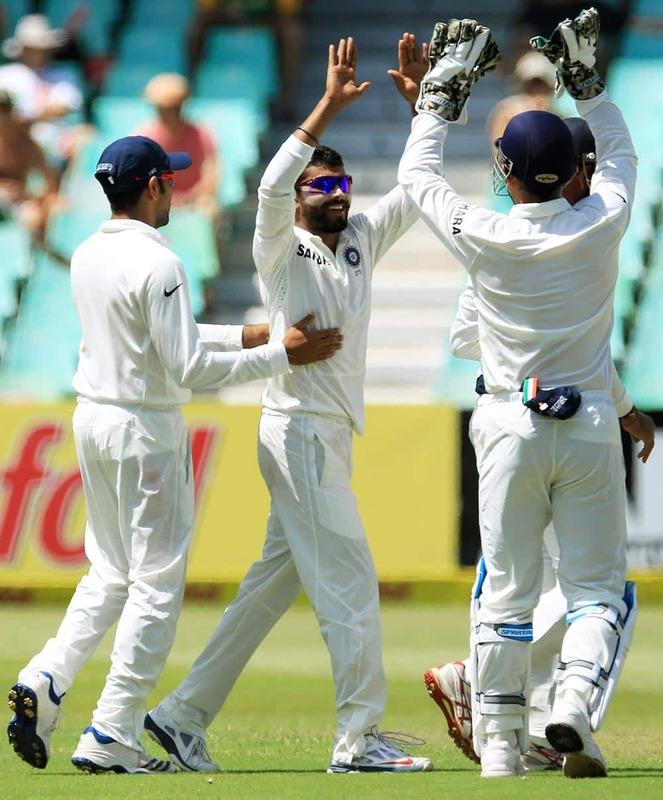 India's bowler Ravindra Jadeja, center, celebrates with teammates after dismissed South Africa's captain Graeme Smith, for 47 runs during the second day of their cricket test match at Kingsmead stadium, Durban. 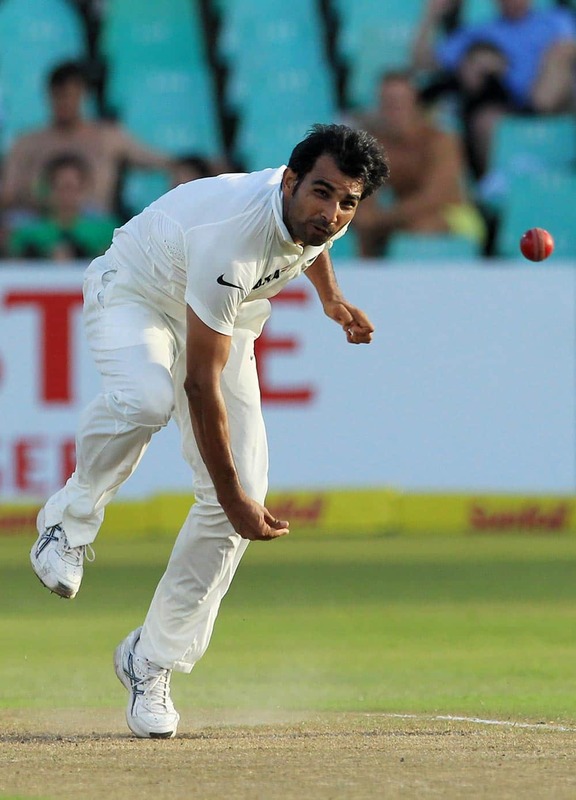 India's bowler Mohammad Shami, follows through his bowling during second day of their cricket test match against South Africa at Kingsmead stadium, Durban, South Africa. 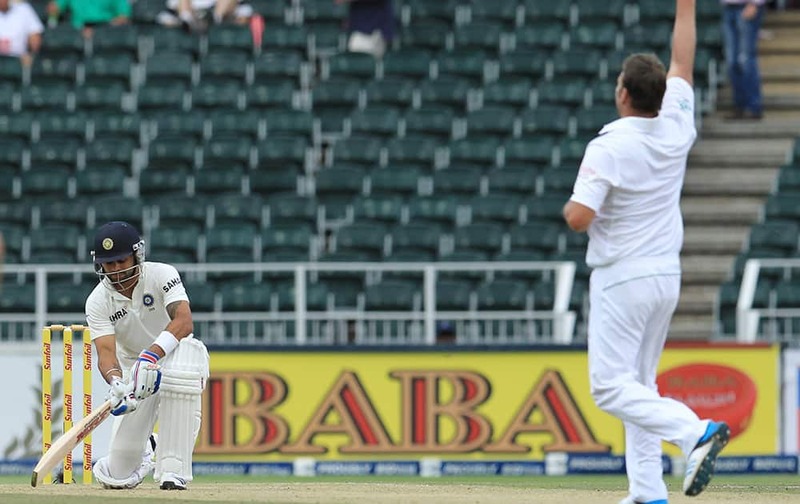 South Africa's captain Graeme Smith, right, plays a shot as India's fielder Murali Vijay, left, watches during second day of their cricket test match at Kingsmead stadium, Durban, South Africa. Mohammad Shami avoids a bouncer during the second day of their cricket test match against South Africa at Kingsmead stadium, Durban. 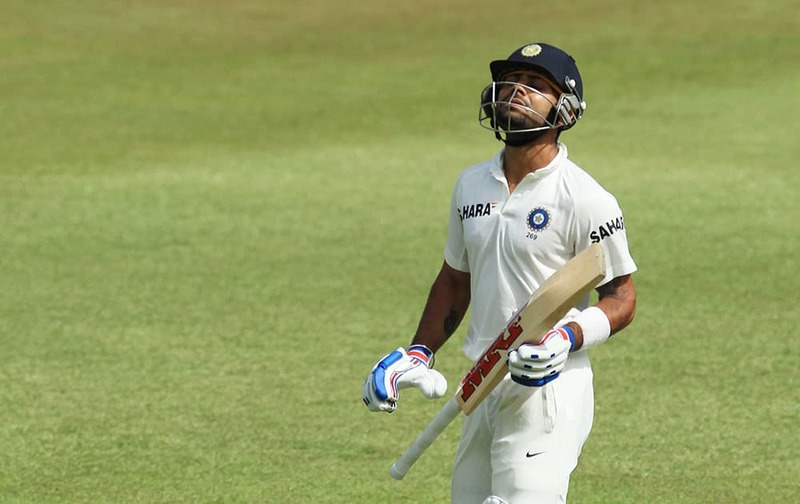 Virat Kohli leaves the field after being dismissed by Morne Morkel, for 46 runs during the second day of their cricket test match at Kingsmead stadium, Durban, South Africa. 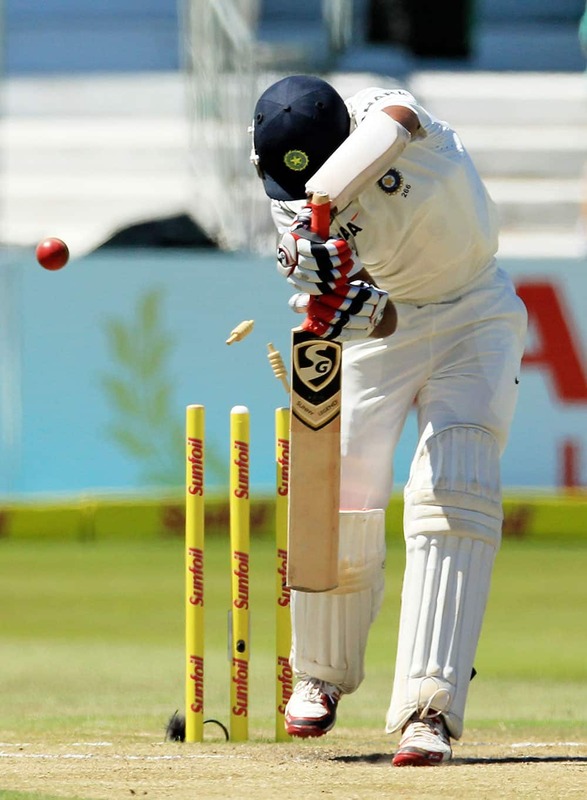 Virat Kohli plays a shot as Graeme Smith watches during second day of their cricket test match at Kingsmead stadium, Durban, South Africa. Dale Steyn celebrates after dismissing Cheteshwar Pujara for 70 runs during second day of their cricket test match at Kingsmead stadium, Durban, South Africa. 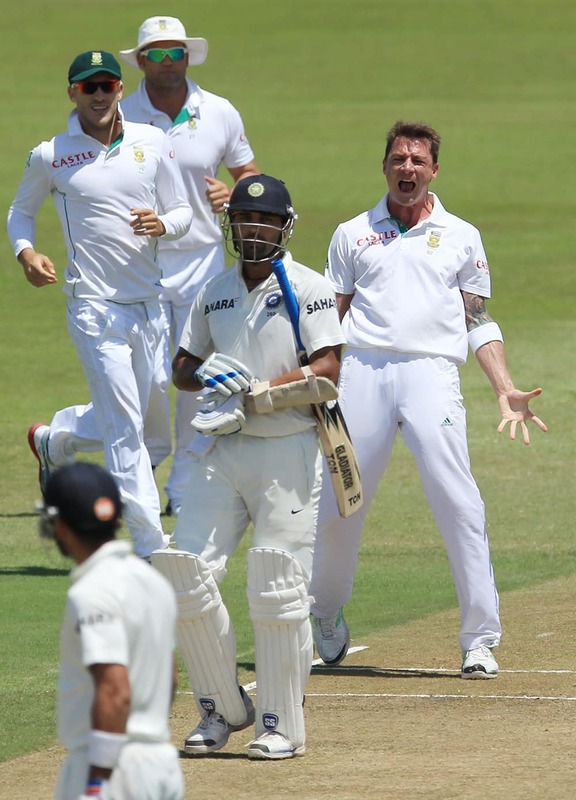 Dale Steyn reacts after dismissing Murali Vijay for 97 runs during second day of their cricket test match at Kingsmead stadium, Durban, South Africa. 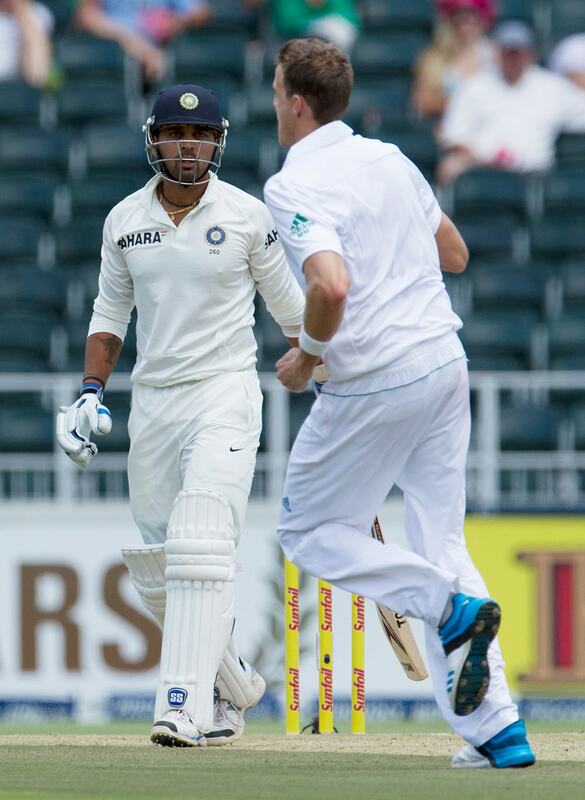 Murali Vijay avoids a bouncer during first day of their cricket test match against South Africa at Kingsmead stadium, Durban. 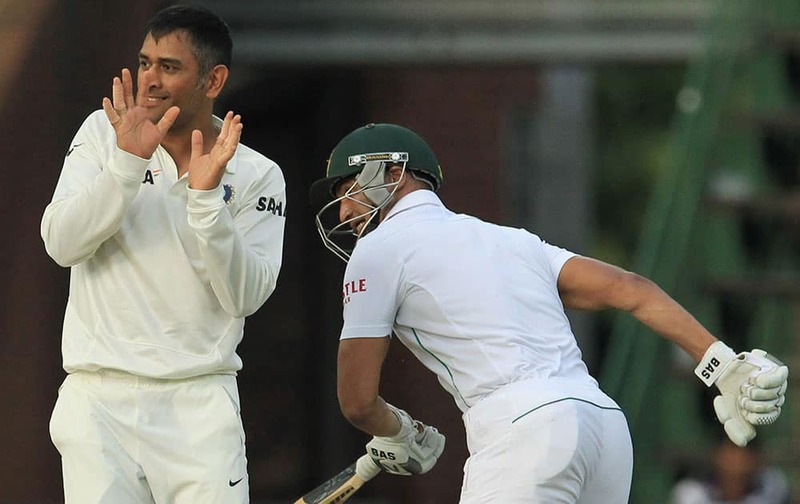 Mahendra Singh Dhoni, center, with teammate India's Virat Kohli, left, waves in the players pavilion as the match is stopped due to bad light during first day of their cricket test match against South Africa at Kingsmead stadium, Durban. 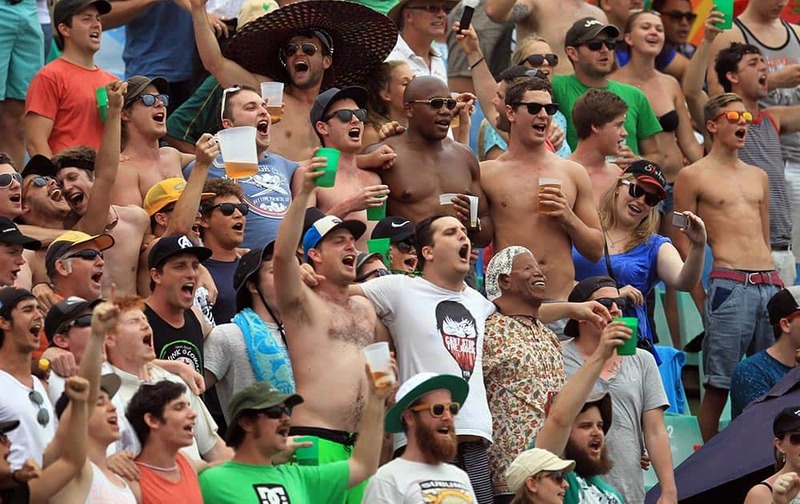 South African cricket fans sing during first day of their cricket test match between South Africa and India at Kingsmead stadium, Durban. 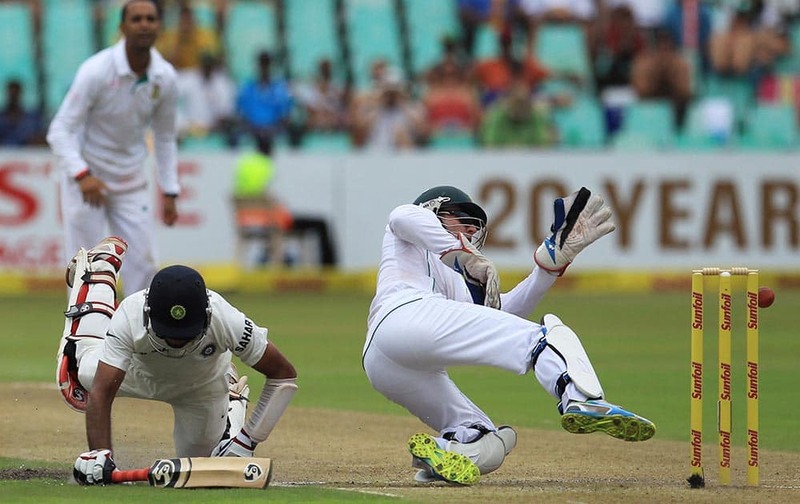 South Africa's wicketkeeper Abraham Benjamin de Villiers, right, attempts a run out against India's batsman Cheteshwar Pujara, left, during first day of their cricket test match at Kingsmead stadium, Durban, South Africa. 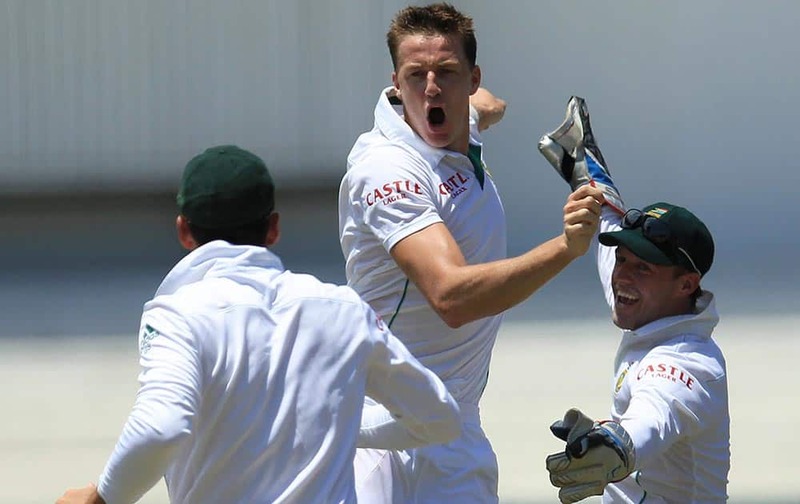 South Africa's bowler Morne Morkel, center, celebrates with teammates after dismissing India's batsman Shikhar Dhawan, for 29 runs during first day of their cricket test match at Kingsmead stadium, Durban, South Africa. 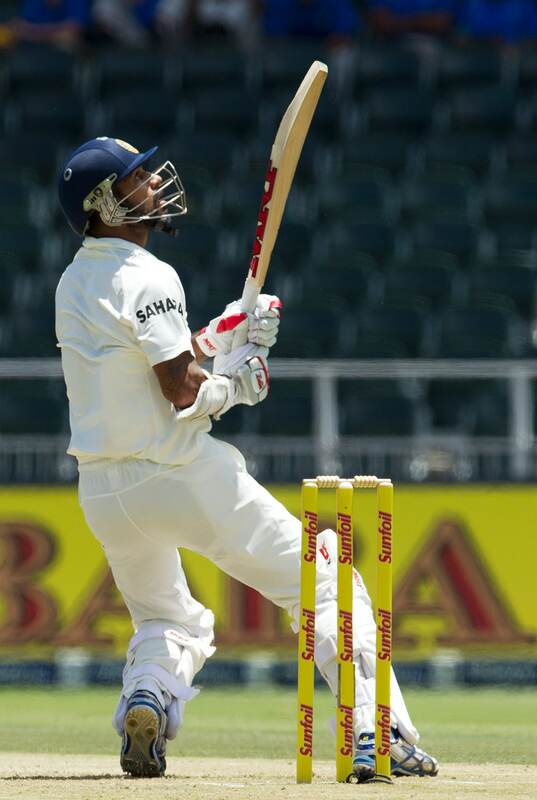 India's batsman Shikhar Dhawan plays a shot during first day of their cricket test match against South Africa at Kingsmead stadium, Durban, South Africa. 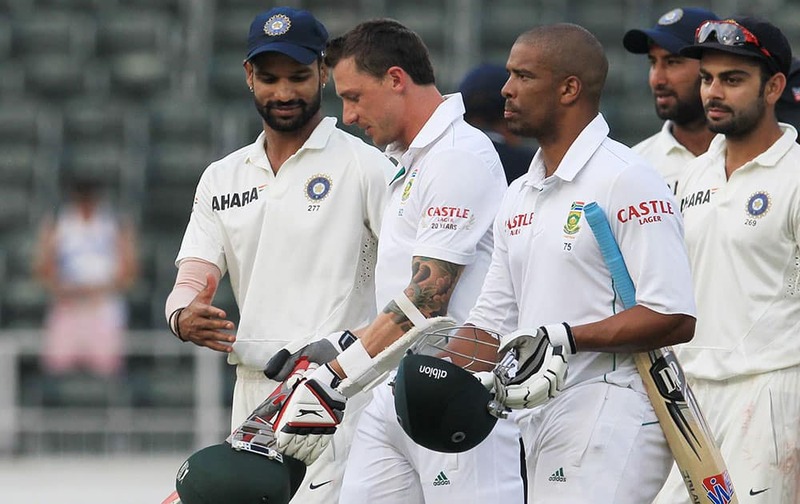 India's Shikhar Dhawan, left, shakes hand with South Africa's batsman Dale Steyn, second left, at the end of the match on fourth and final day of their cricket test match at Wanderers stadium in Johannesburg, South Africa. 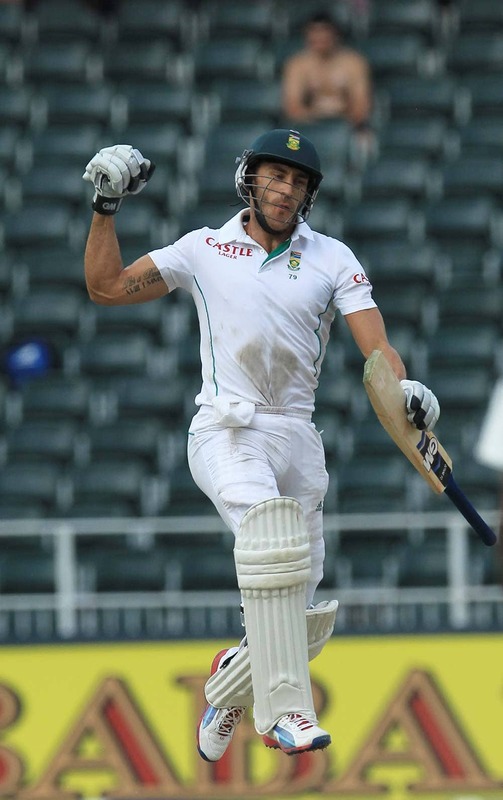 South Africa's batsman Francois du Plessis jumps as he celebrates a century during the fourth and final day of their cricket test match against India at Wanderers stadium in Johannesburg. 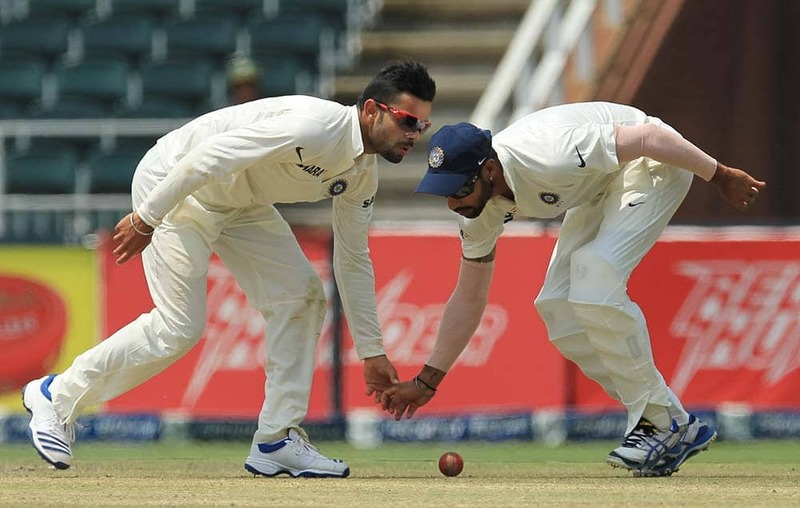 India's bowler Virat Kohli, left, with the help of teammate India's Shikhar Dhawan, right, field off own bowling during the fourth and final day of their cricket test match against South Africa at Wanderers stadium in Johannesburg, South Africa. 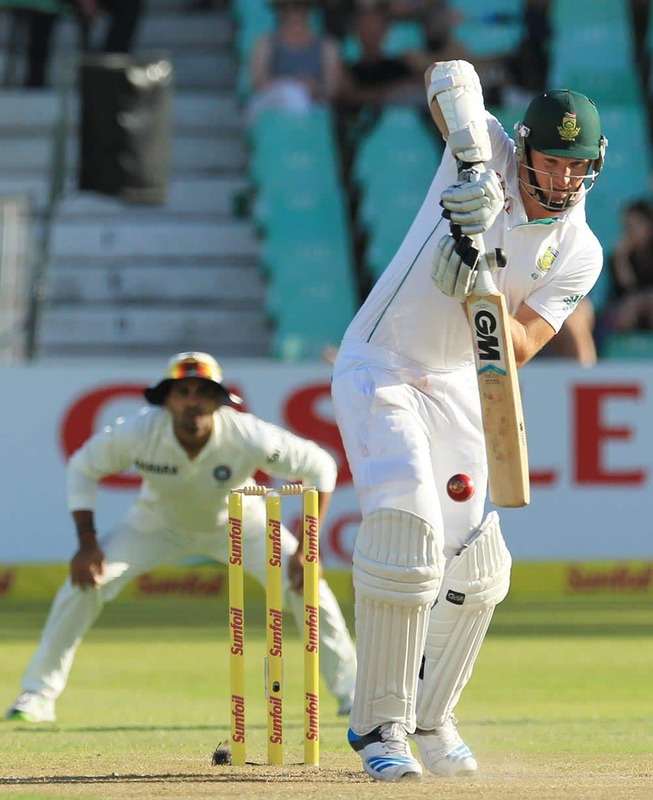 South Africa's batsman Francois du Plessis plays a side shot during the fourth and final day of their cricket test match against India at Wanderers stadium in Johannesburg, South Africa. 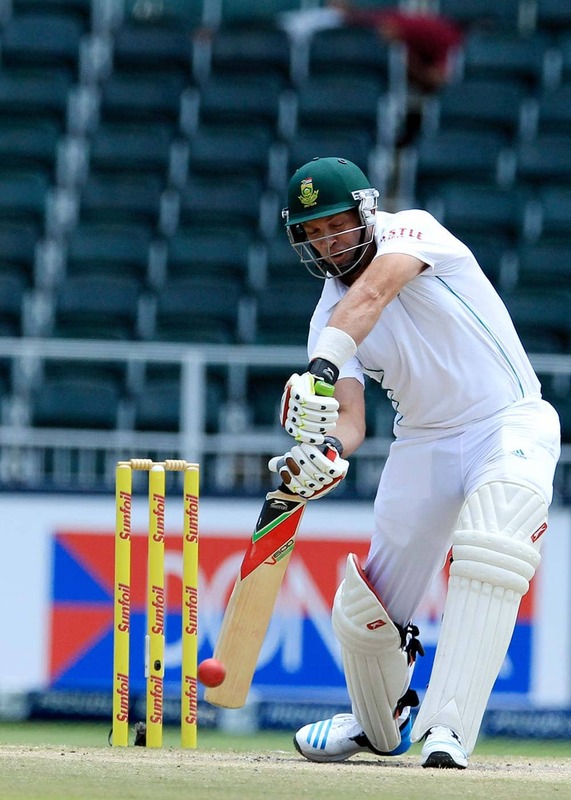 South Africa's batsman Jacques Kallis plays a shot against India during the fourth and final day of their cricket test match at Wanderers stadium in Johannesburg, South Africa. 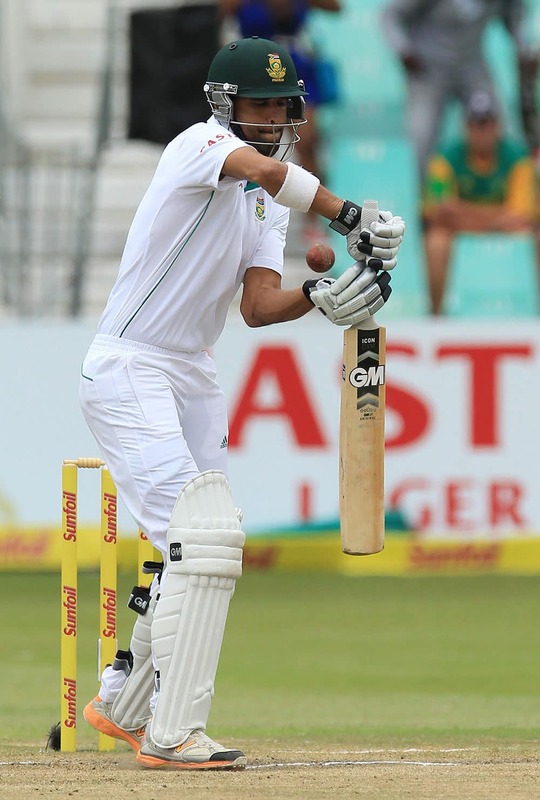 South Africa's batsman Hashim Amla looks on after being bowled by India's bowler Mohammad Shami, for 4 runs during their 2nd innings on the fourth day of their cricket test match at Wanderers stadium in Johannesburg, South Africa. 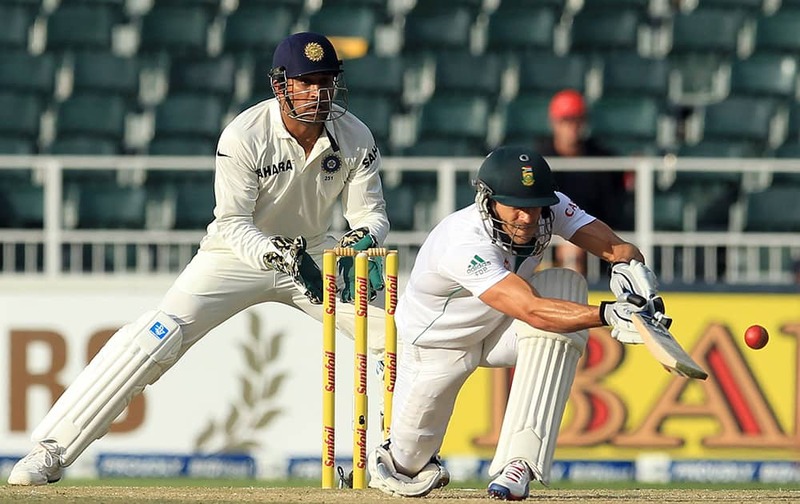 India's captain Mahendra Singh Dhoni, left, avoids colliding with South Africa's batsman Alviro Petersen, right, during South Africa's 2nd innings on the fourth day of their cricket Test match at Wanderers stadium in Johannesburg, South Africa. 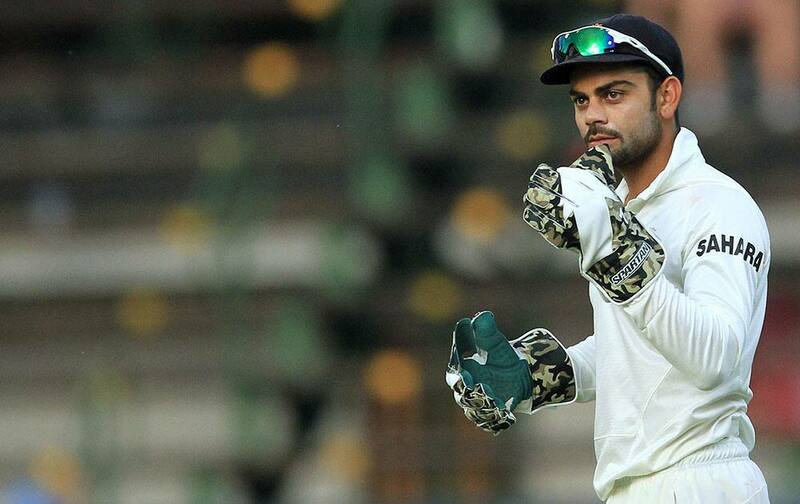 India's wicketkeeper Virat Kohli looks on during South Africa's 2nd innings on the fourth day of their cricket Test match at Wanderers stadium in Johannesburg, South Africa. 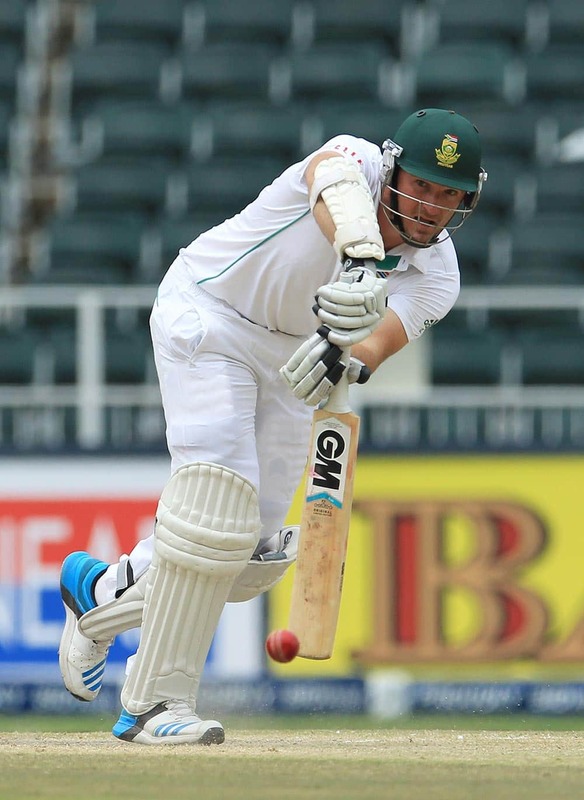 South Africa's captain Graeme Smith plays a shot during their second innings on the fourth day of their cricket test match against India at Wanderers stadium in Johannesburg. 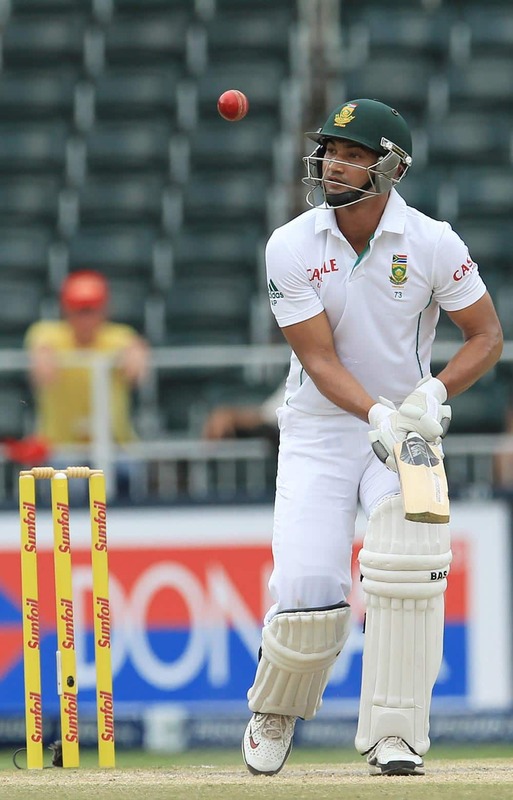 South Africa's batsman Alviro Petersen watches his shot bounce next to him, during their 2nd innings on the fourth day of their cricket test match against India at Wanderers stadium in Johannesburg. 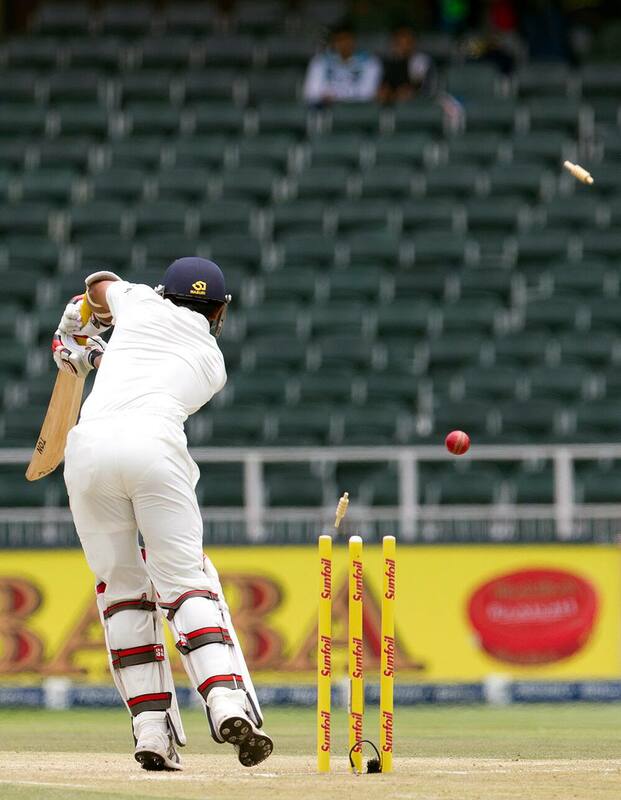 Zaheer Khan plays a shot during their 2nd innings on the fourth day of their cricket test match against South Africa at Wanderers stadium in Johannesburg. 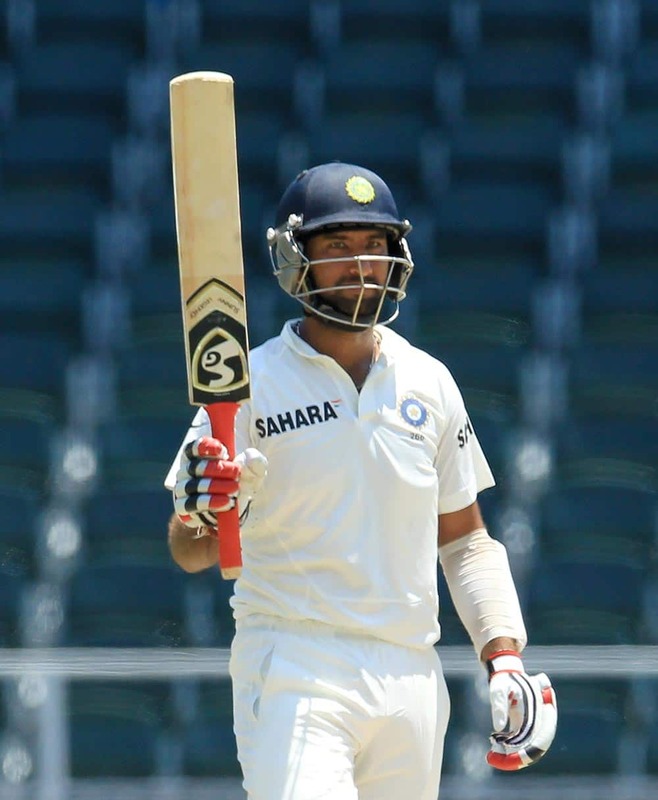 Cheteshwar Pujara raises his bat after reaching 150 runs during the second innings on the fourth day of their cricket test match against South Africa, at Wanderers stadium in Johannesburg. Cheteshwar Pujara, left, is embraced by teammate Virat Kohli, right, after reaching his century during their 2nd innings on the third day of their cricket test match against South Africa at Wanderers stadium in Johannesburg. 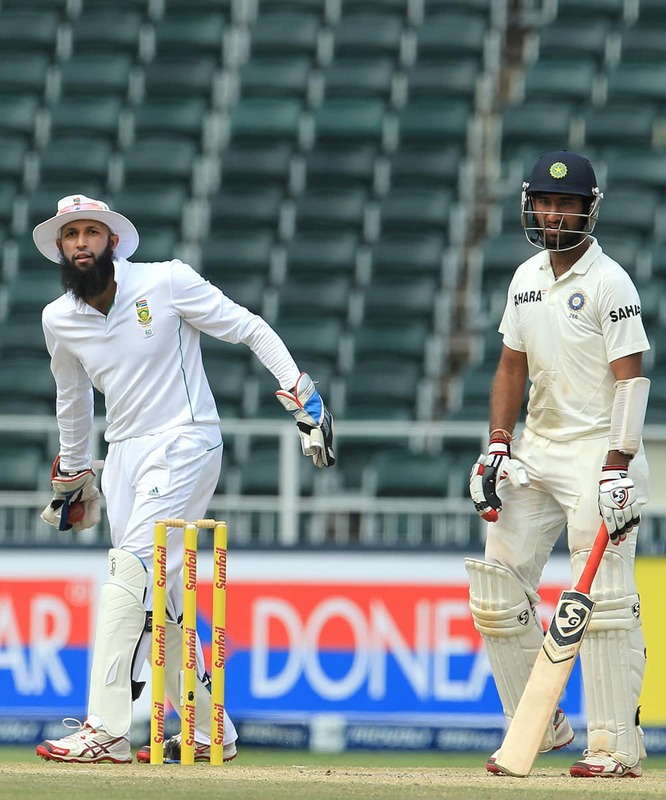 Hashim Amla throws the ball as Cheteshwar Pujara watches during India's 2nd innings on the third day of their cricket test match at Wanderers stadium in Johannesburg, South Africa. 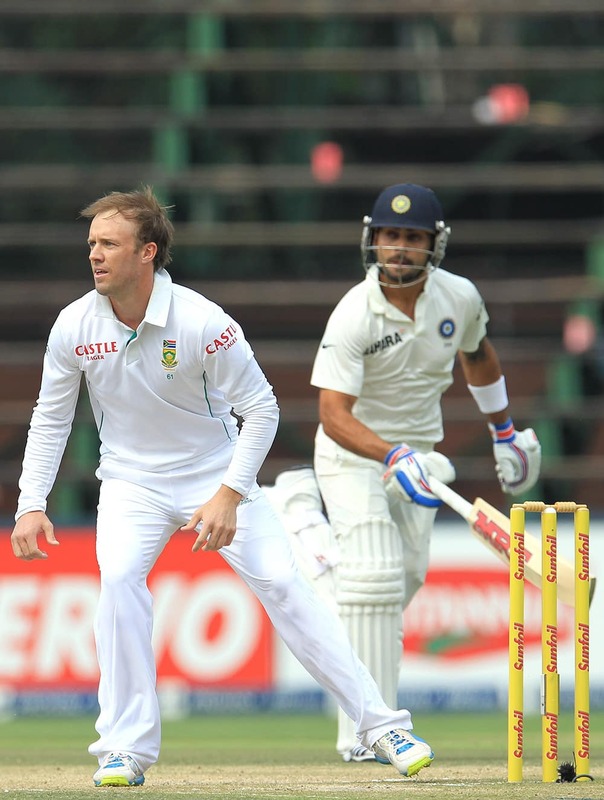 Ab de Villiers awaits the ball as Virat Kohli makes a run during India's 2nd innings on the third day of their cricket test match at Wanderers stadium in Johannesburg, South Africa. 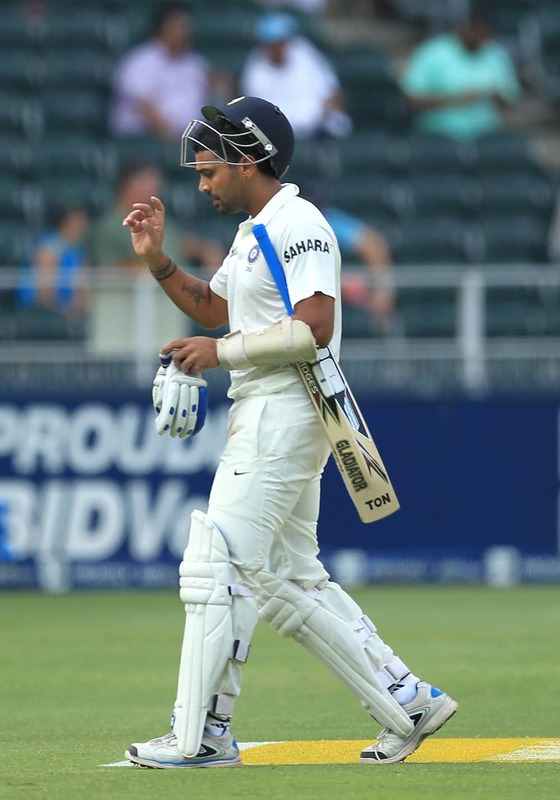 Murali Vijay reacts as he walks back to the pavilion after his dismissal during their 2nd innings on the third day of their cricket test match against South Africa at Wanderers stadium in Johannesburg, South Africa. 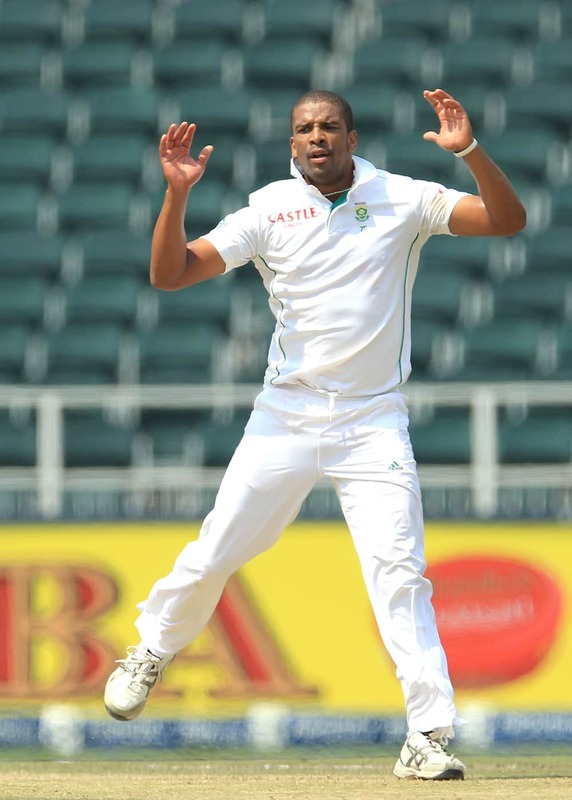 Vernon Philander during India's 2nd innings on the third day of their cricket test match at Wanderers stadium in Johannesburg, South Africa. 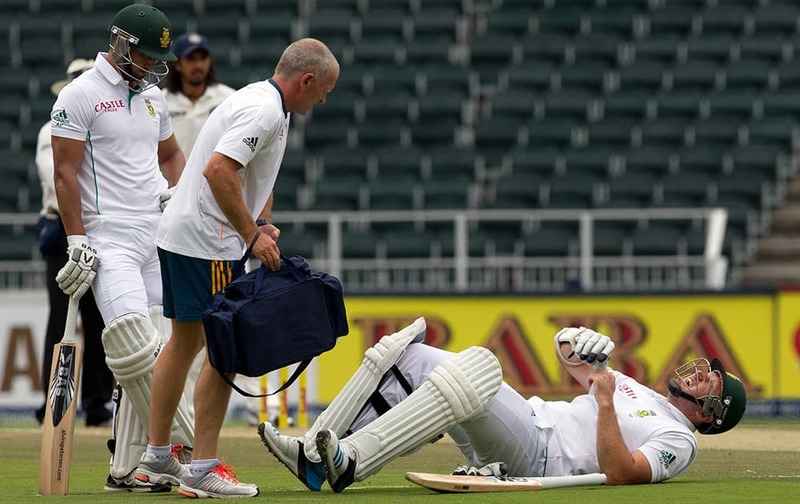 Graeme Smith with Alviro Petersen assist teammate Morne Morkel, after hurting his right ankle during India's 2nd innings on the third day of their cricket test match at Wanderers stadium in Johannesburg, South Africa. 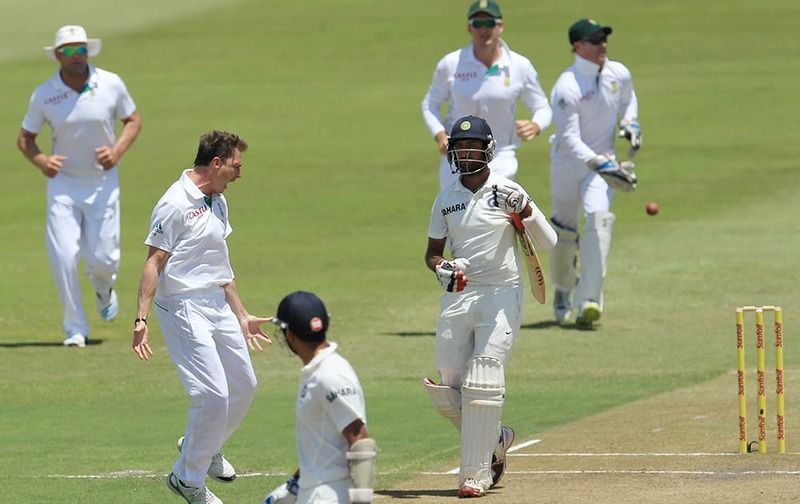 Shikhar Dhawan leaves the field after he was dismissed by South Africa's bowler Vernon Philander for 15 runs during India's 2nd innings on the third day of their cricket test match at Wanderers stadium in Johannesburg, South Africa. 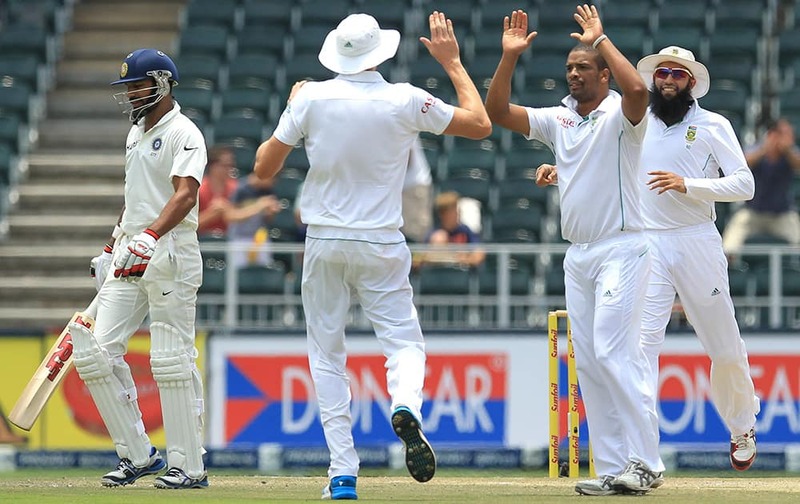 Morne Morkel, is bowled by India's bowler Zaheer Khan, for 7 runs during the third day of their cricket test match at Wanderers stadium in Johannesburg, South Africa. 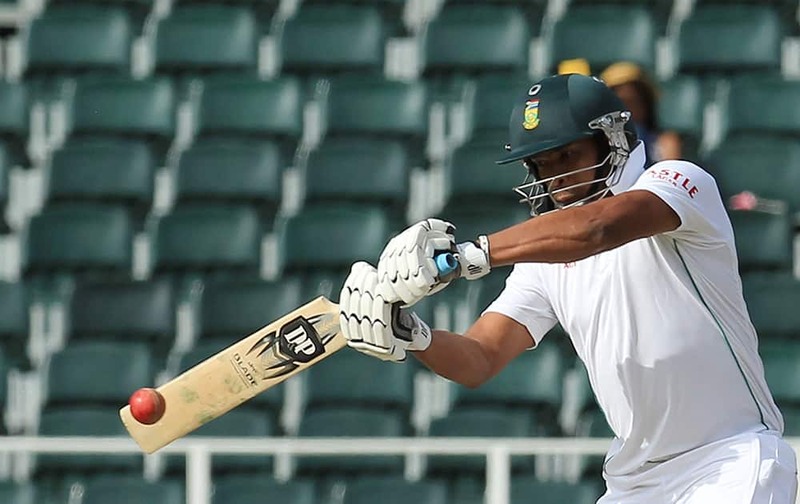 Vernon Philander plays a shot during the second day of their cricket test match against India at Wanderers stadium in Johannesburg, South Africa. 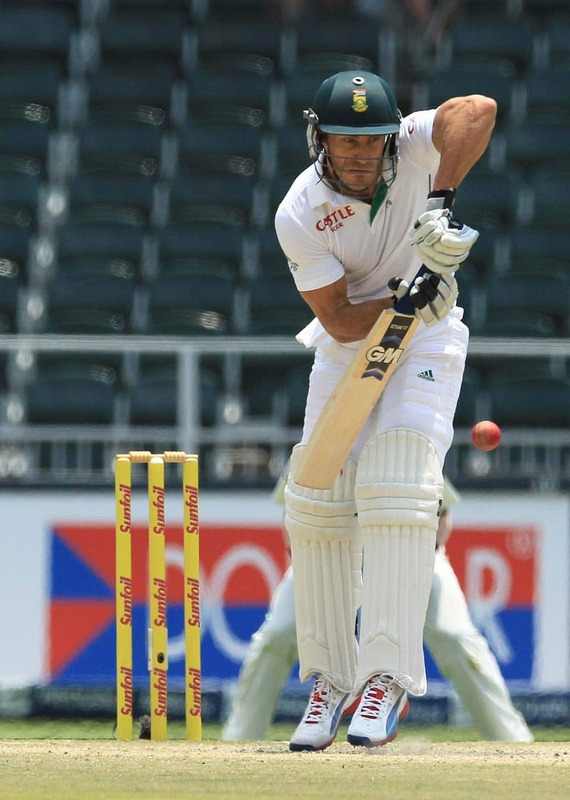 Francois du Plessis, plays a shot as India's captain Mahendra Singh Dhoni during the second day of their cricket test match at Wanderers stadium in Johannesburg, South Africa. 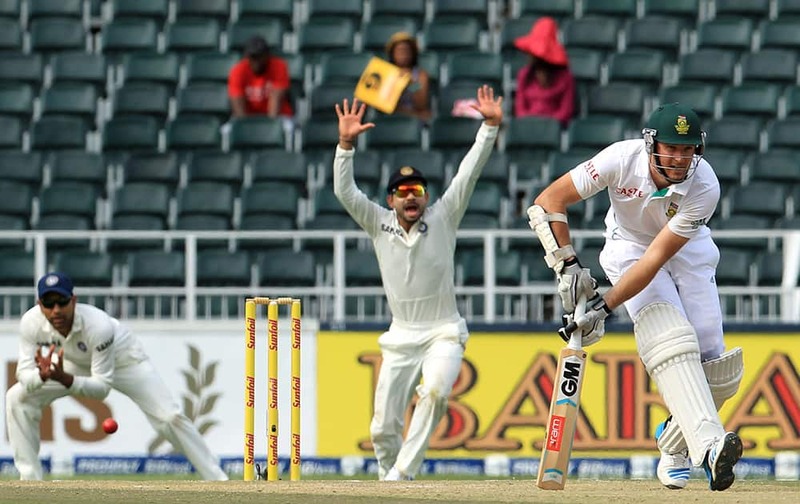 Graeme Smith looks on as India's fielder Virat Kohli successfully appeal for LBW during the second day of their cricket test match at Wanderers stadium in Johannesburg, South Africa. 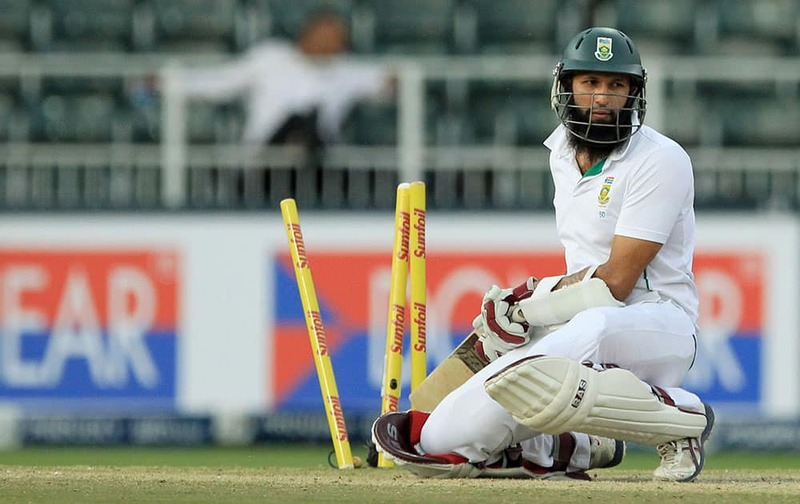 South Africa's batsman Hashim Amla, is bowled by India's bowler Ishant Sharma, for 36 runs during the second day of their cricket test match at Wanderers stadium in Johannesburg, South Africa. South Africa's Hashim Amla avoids a bouncer from India's bowler Mohammad Shami during the second day of their cricket test match at Wanderers stadium in Johannesburg, South Africa. 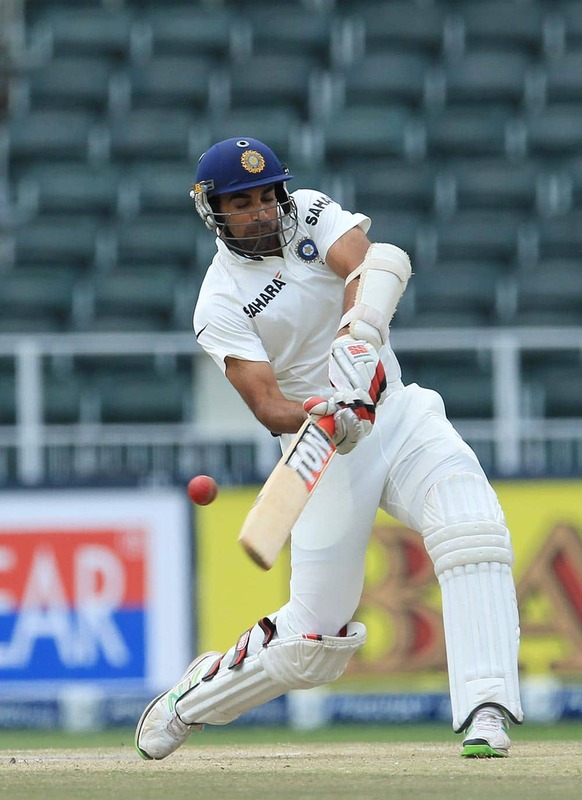 South Africa's batsman Alviro Petersen leaves the crease after being dismissed by India's bowler Ishant Sharma during the second day of their cricket test match at Wanderers stadium in Johannesburg, South Africa. 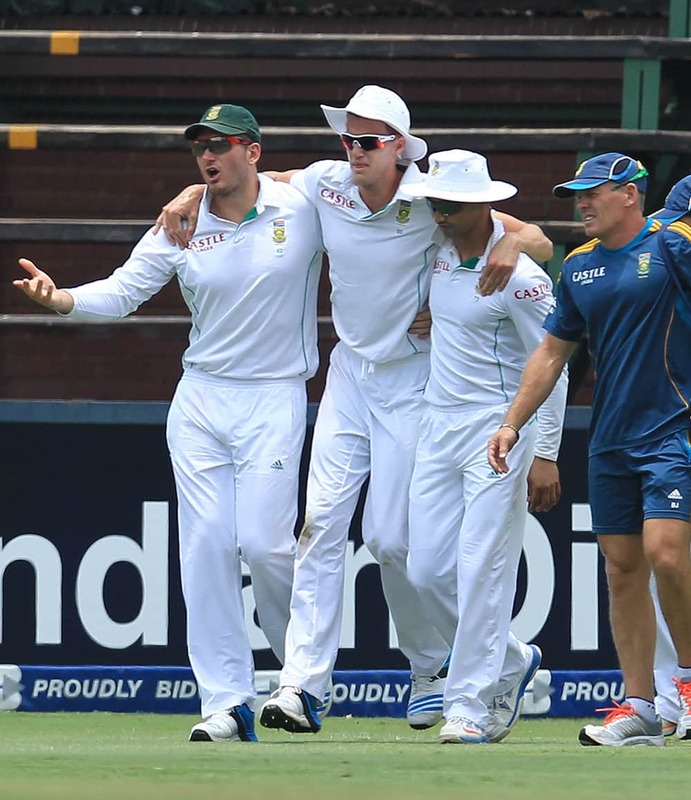 Graeme Smith lies in pain after being hit by a ball in his right leg, as the team medics attend to him, during the second day of their cricket test match against India at Wanderers stadium in Johannesburg, South Africa. Mohammad Shami is bowled for a duck during the second day of their cricket test match against South Africa at Wanderers stadium in Johannesburg, South Africa. 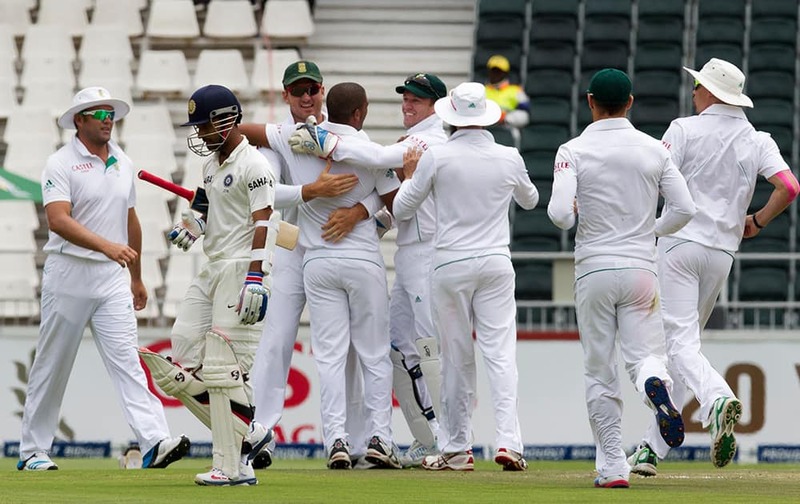 Ajinkya Rahane walks back to the pavilion as South Africa's bowler Vernon Philander celebrates his dismissal with teammates during the second day of their cricket test match at Wanderers stadium in Johannesburg, South Africa. 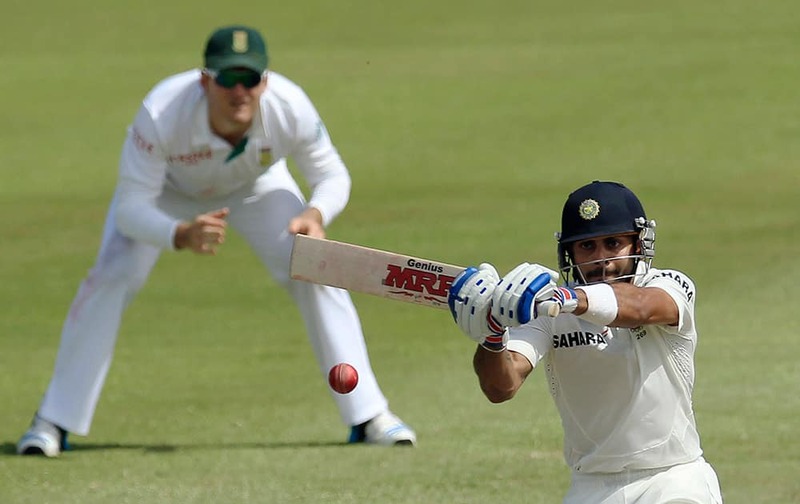 Virat Kohli is dismissed by South Africa's bowler Jacques Kallis during the first day of their cricket test match against South Africa at Wanderers stadium in Johannesburg, South Africa. 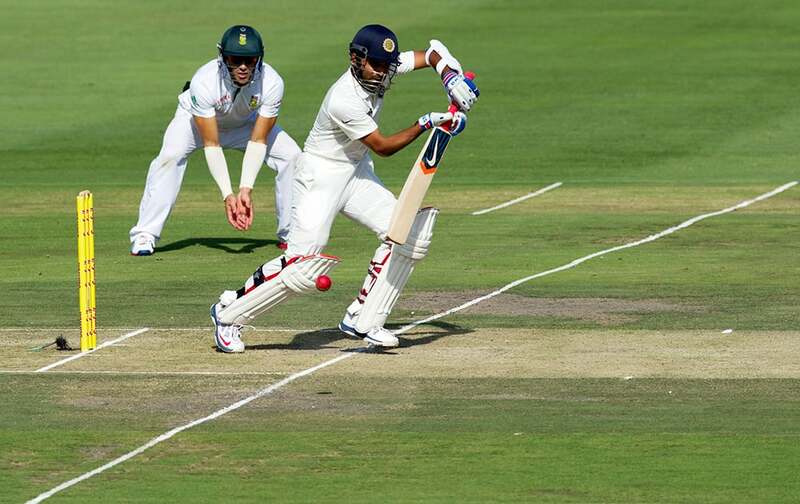 Ajinkya Rahane plays a shot as South Africa's Francois du Plessis, left, looks on during the first day of their cricket test match at Wanderers stadium in Johannesburg, South Africa. 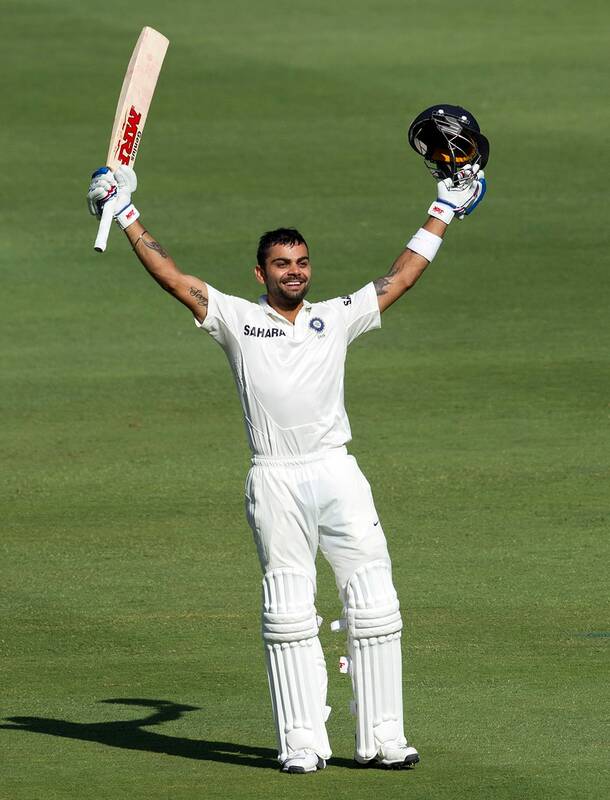 Virat Kohli celebrates his century during the first day of their cricket test match against South Africa at Wanderers stadium in Johannesburg, South Africa. 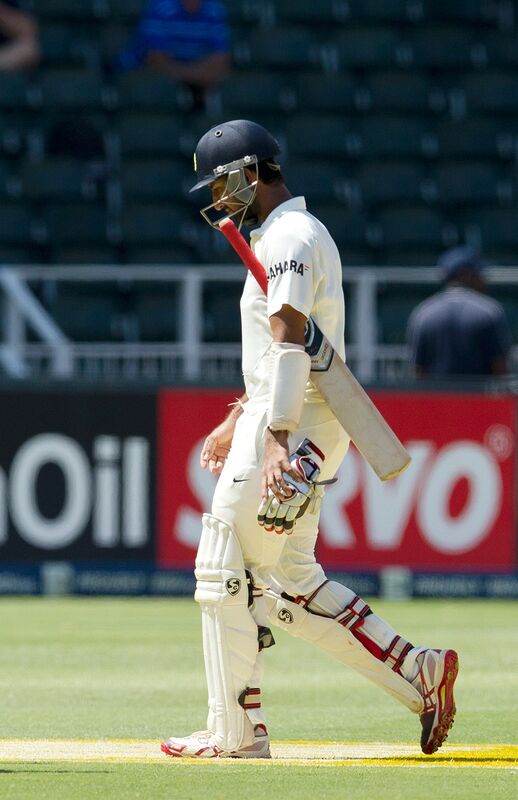 Cheteshwar Pujara, walks back to the pavilion after being dismissed for 25 runs during the first day of their cricket test match at Wanderers stadium in Johannesburg, South Africa. 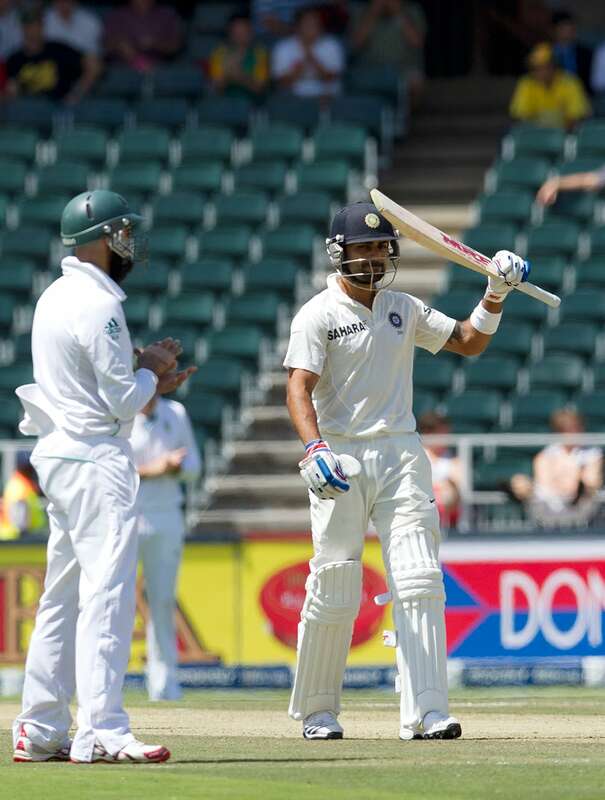 Virat Kohli raises his bat after reaching half century as South Africa's Hashim Amla claps hands during the first day of their cricket test match at Wanderers stadium in Johannesburg, South Africa. 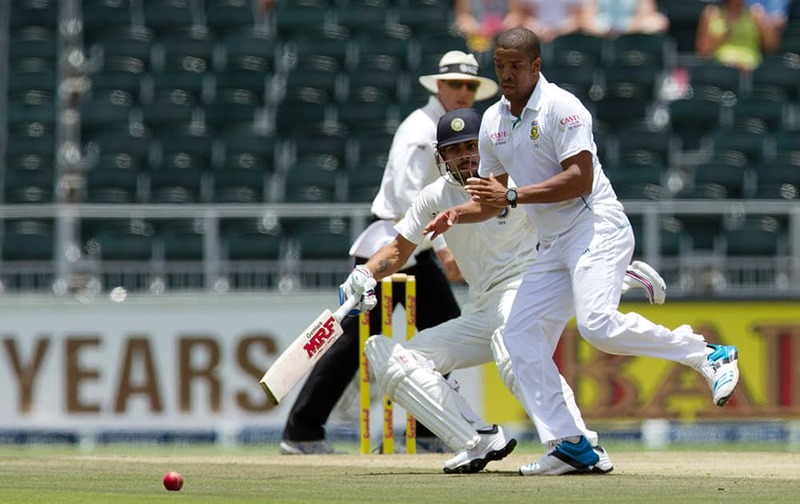 Vernon Philander attempt fielding off his own bowling as Virat Kohli runs back home during the first day of their cricket test match at Wanderers stadium in Johannesburg, South Africa. 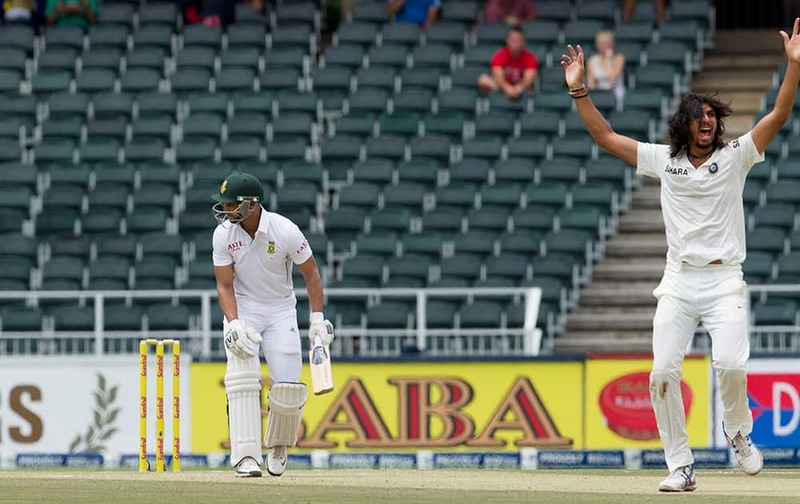 Murali Vijay watches as South Africa's bowler Morne Morkel celebrates his dismissal during the first day of their cricket test match at Wanderers stadium in Johannesburg, South Africa. 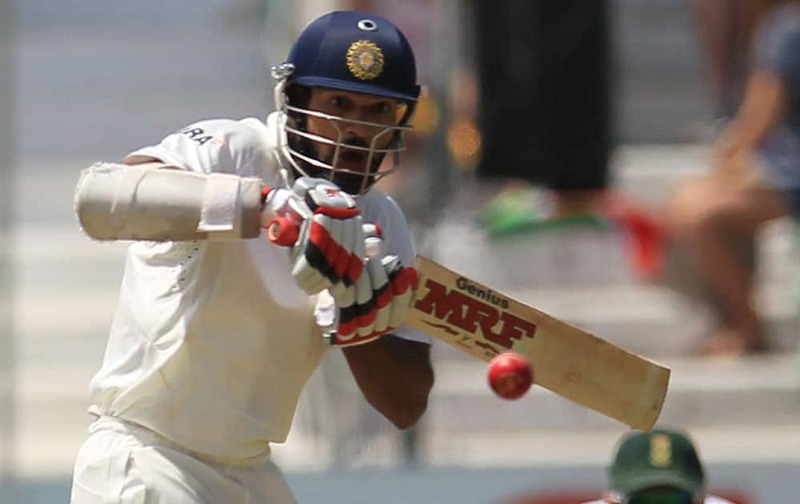 Shikhar Dhawan, watches his shot during the first day of their cricket test match against South Africa at Wanderers stadium in Johannesburg, South Africa. 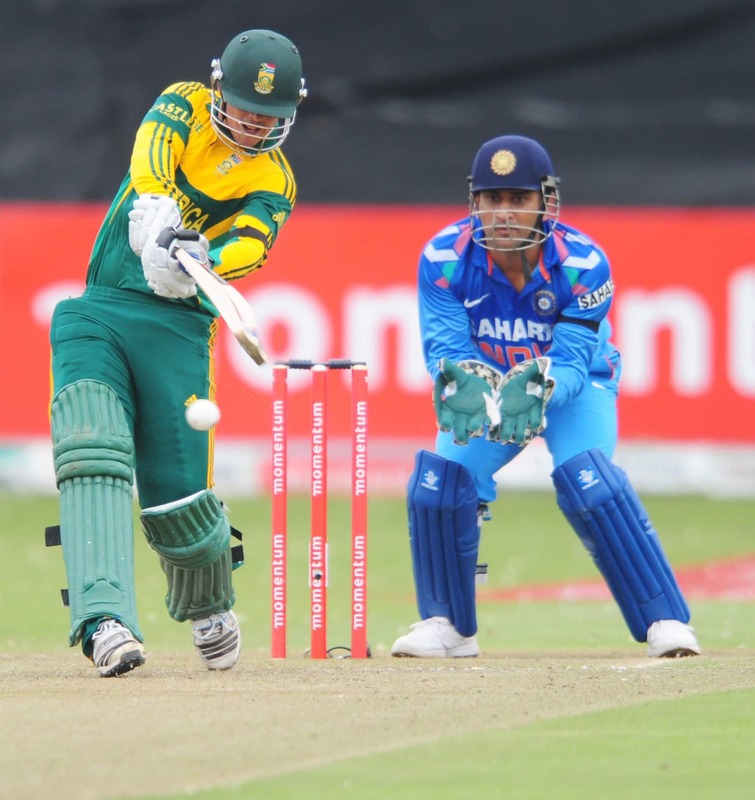 South Africa's Quinton de Kock, left, drives a ball during their second one day international against India in Durban, South Africa. 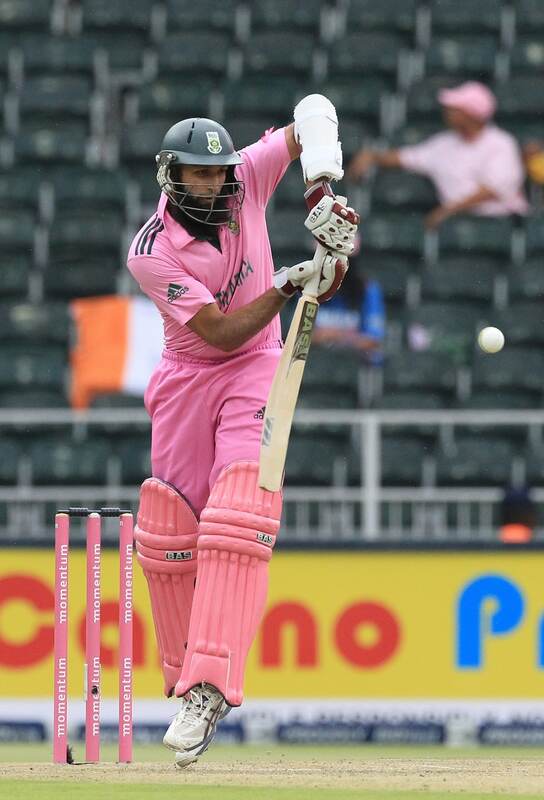 South Africa's Hashim Amla at the wicket during their second one day international against India in Durban, South Africa. 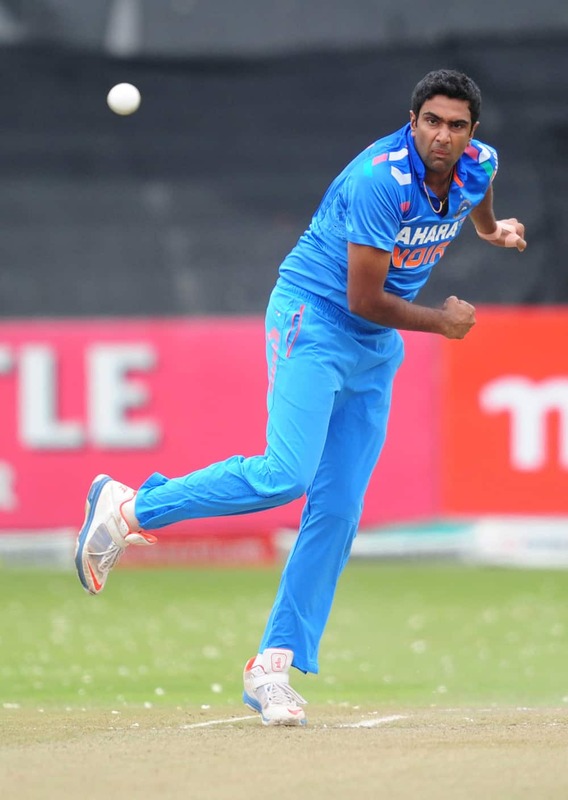 India's Ravichandran Ashwin delivers a ball during their second one day international against South Africa in Durban, South Africa. 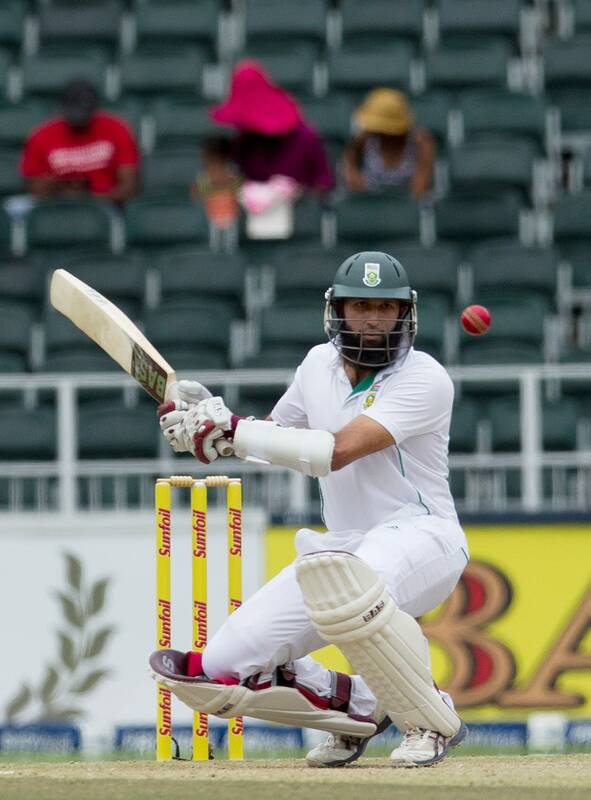 South Africa's Hashim Amla blocks a ball during during their second one day international against India in Durban. 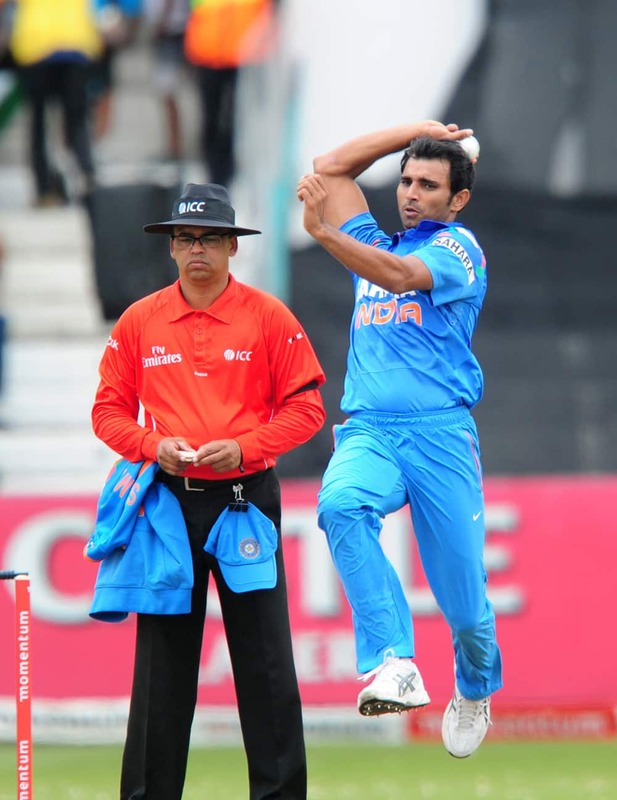 India's Mohammed Shami delivers a ball during their second one day international against South Africa in Durban, South Africa. India's batsman Suresh Raina, lies on the pitch after being run out for 14 runs during their 1st One Day International cricket match against South Africa at Wanderers stadium in Johannesburg, South Africa. 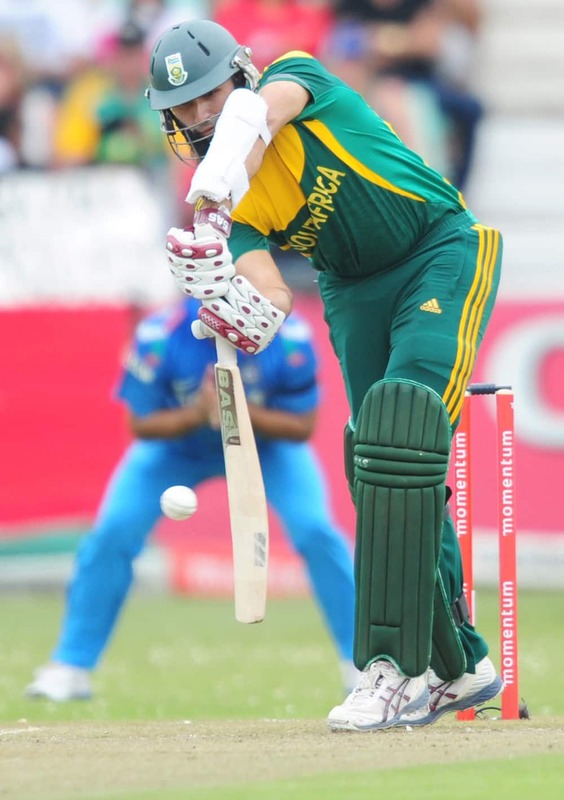 India's captain Mahendra Singh Dhoni, misplays a bouncer during their 1st One Day International cricket match against South Africa at Wanderers stadium in Johannesburg, South Africa. 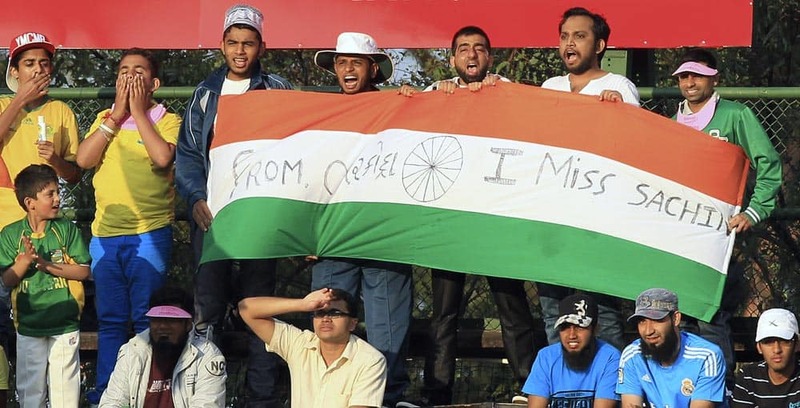 Indian cricket fans sing as they hold their national flag during their 1st One Day International cricket match against South Africa at Wanderers stadium in Johannesburg, South Africa. 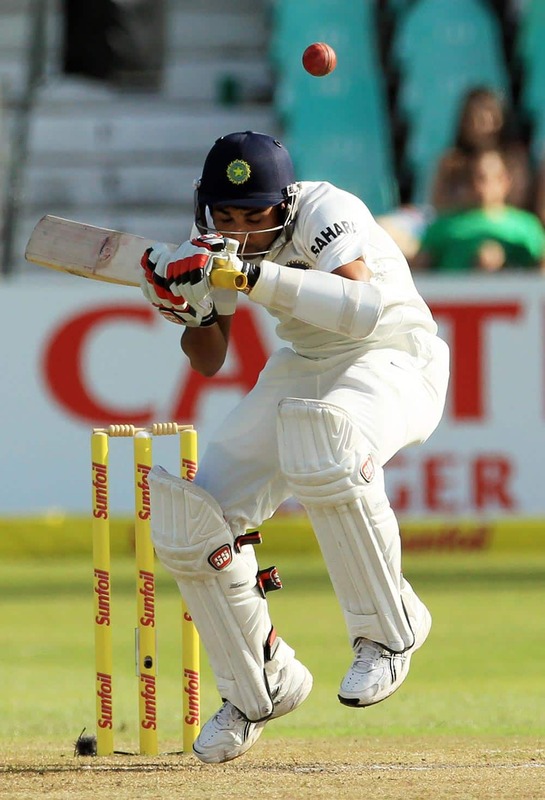 India's batsman Rohit Sharma, plays a short ball off South Africa's bowler Morne Morkel, during their 1st One Day International cricket match at Wanderers stadium in Johannesburg, South Africa. 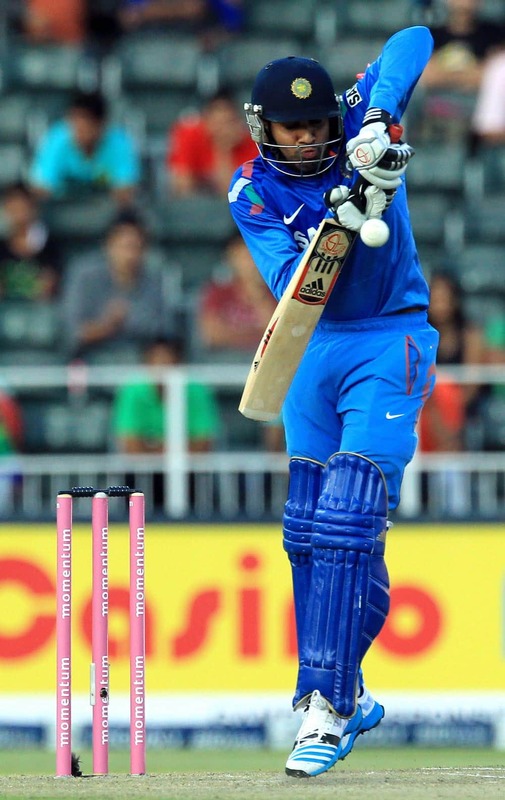 India's batsman Shikhar Dhawan, plays a shot during their 1st One Day International cricket match against South Africa at Wanderers stadium in Johannesburg, South Africa. 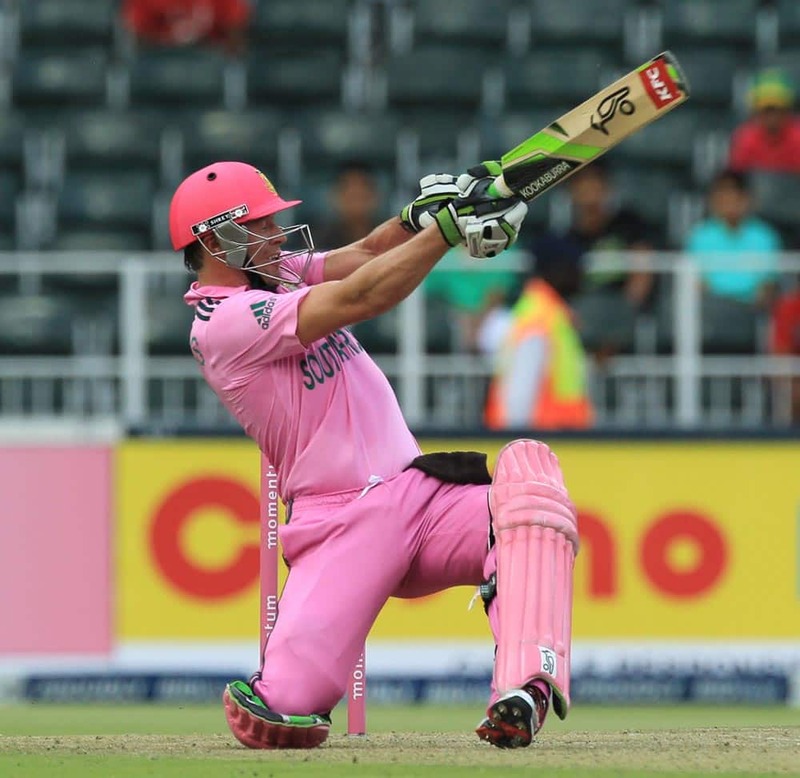 South Africa's Abraham Benjamin de Villiers, plays a shot during their 1st One Day International cricket match against India at Wanderers stadium in Johannesburg, South Africa. 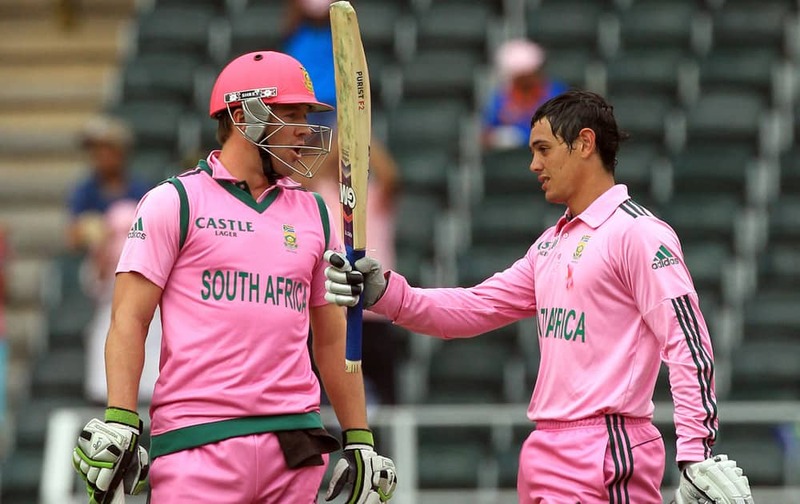 South Africa's Quinton de Kock, raises his bat after reaching a century as captain A B de Villiers watches during their 1st One Day International cricket match against India at Wanderers stadium in Johannesburg, South Africa. 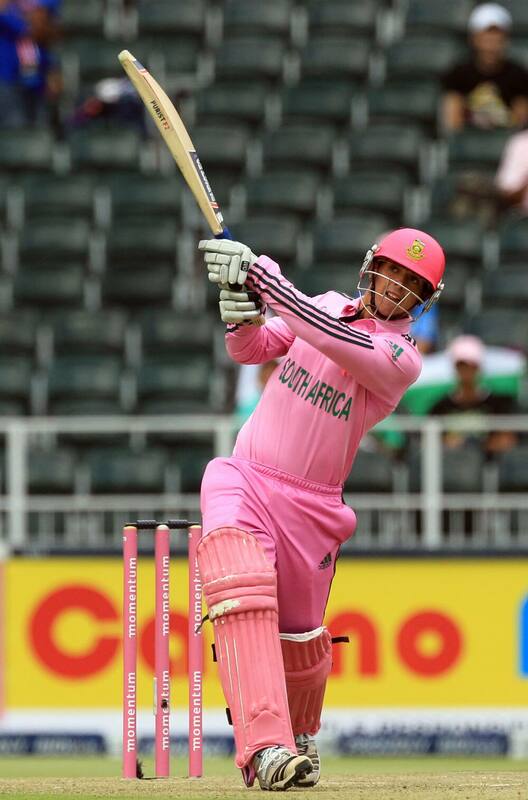 South Africa's Quinton de Kock, watches the flight of the ball going for a six during their 1st One Day International cricket match against India at Wanderers stadium in Johannesburg, South Africa. 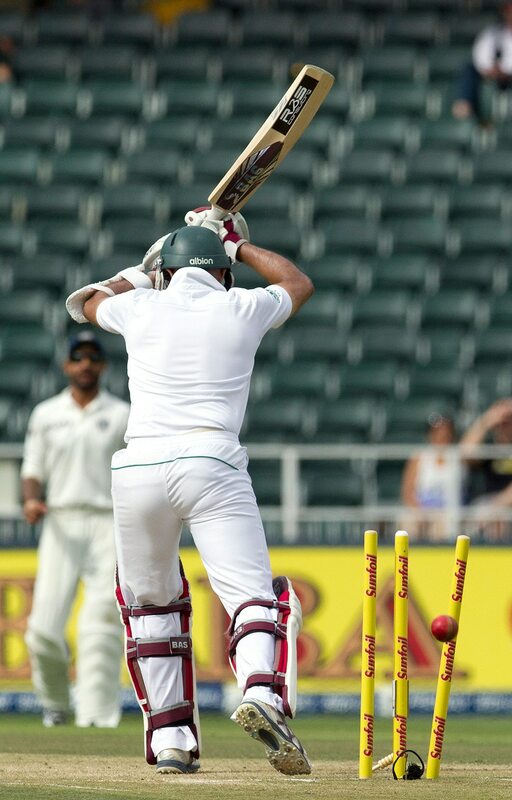 Hashim Amla leaves the crease after bowled by Mohammad Shami during their 1st One Day International cricket match at Wanderers stadium in Johannesburg, South Africa. 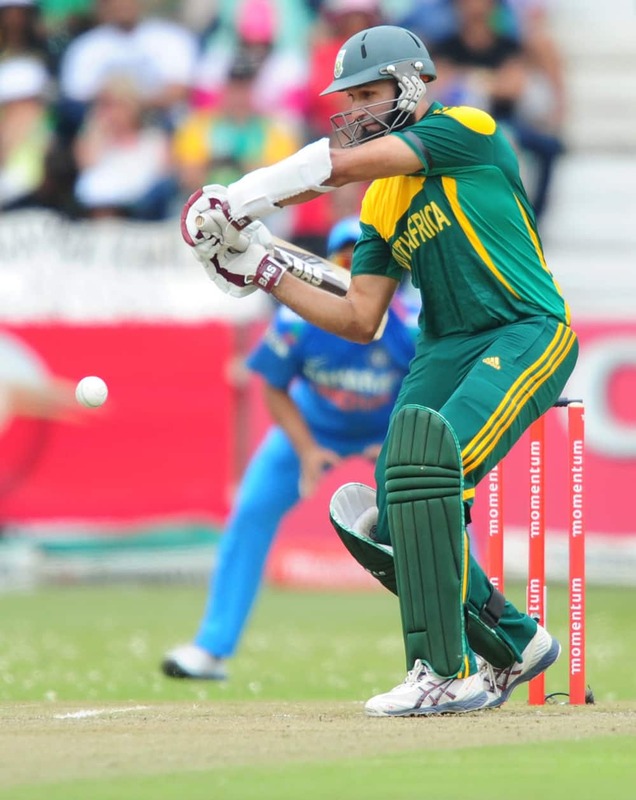 Hashim Amla, plays a side shot during their 1st One Day International cricket match against India at Wanderers stadium in Johannesburg, South Africa.